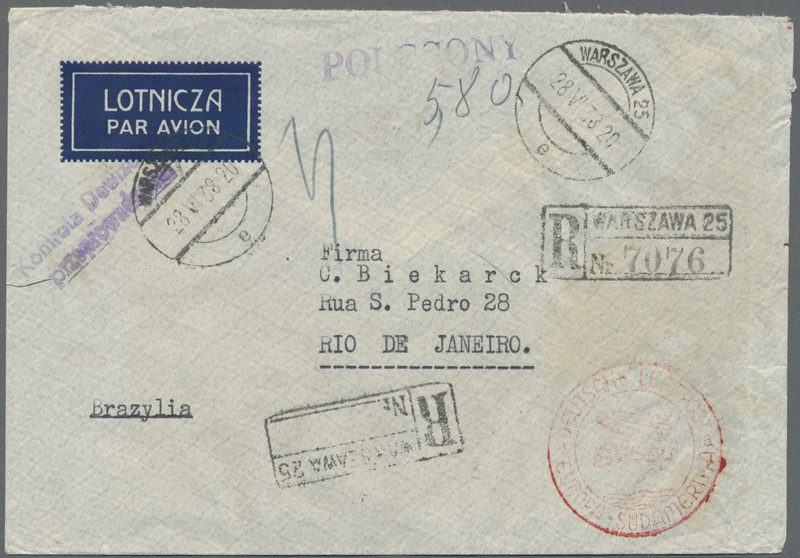 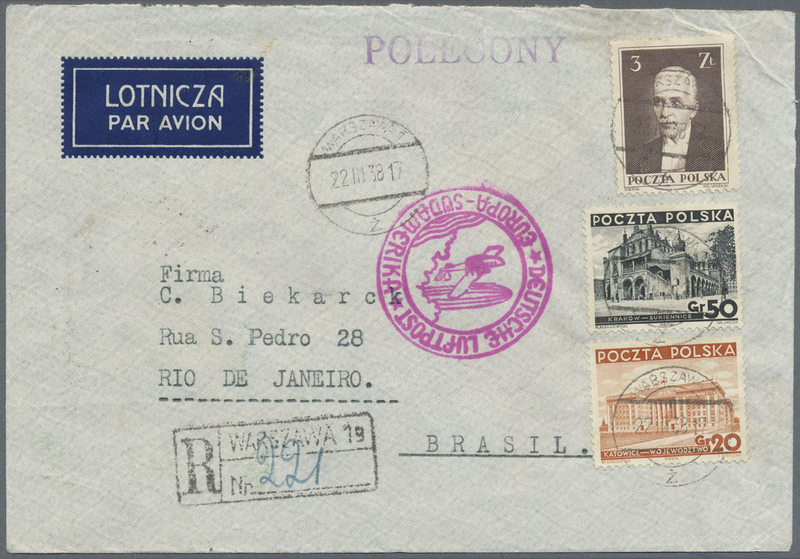 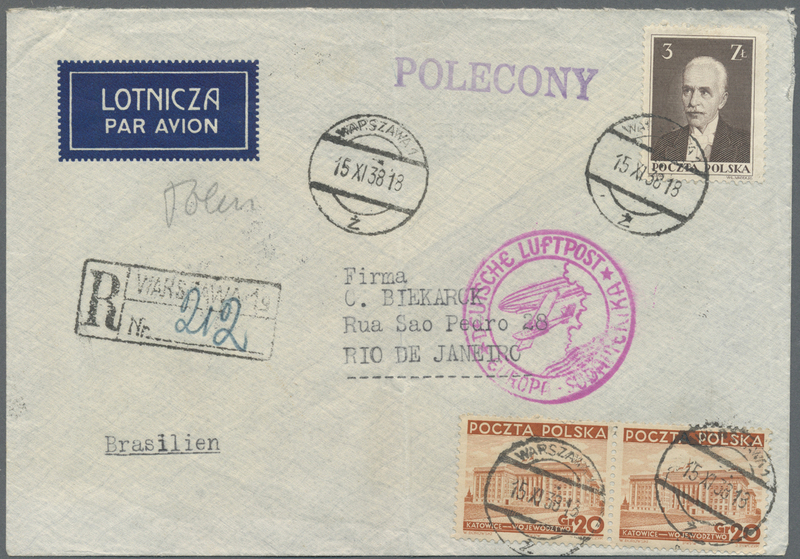 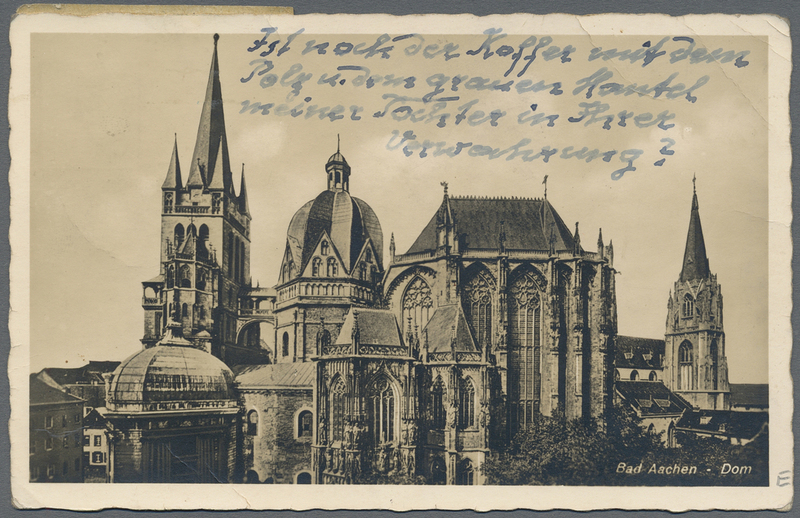 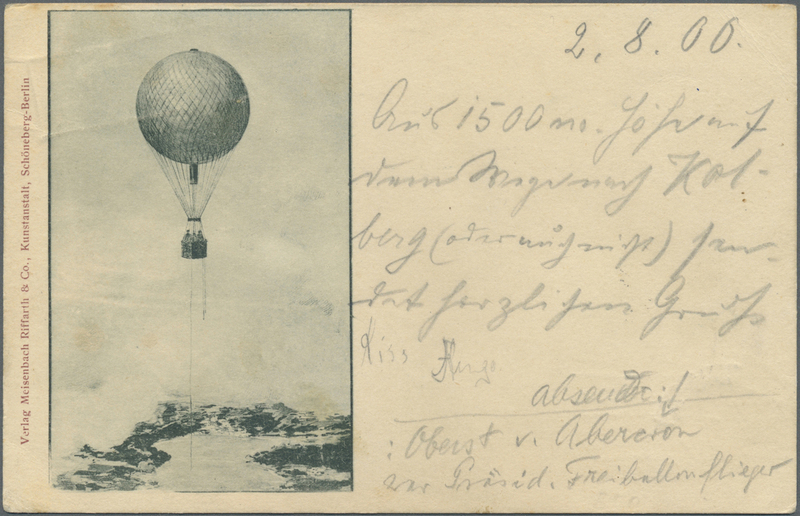 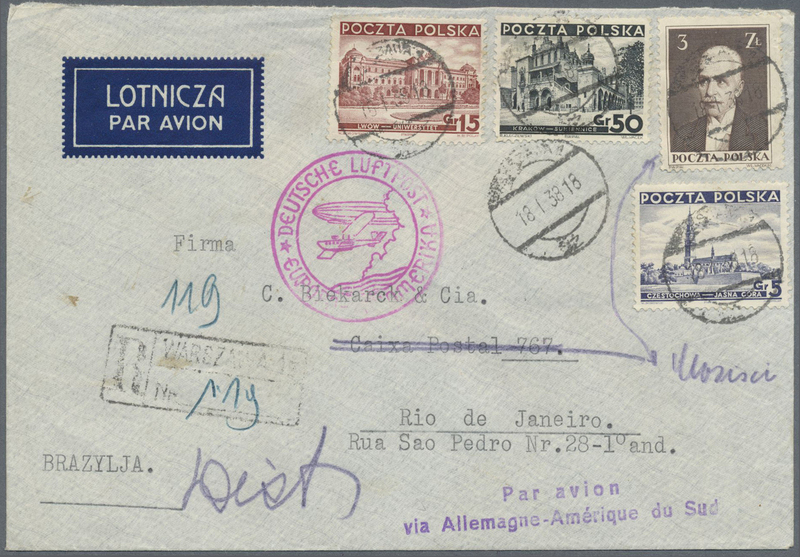 19494 Ansichtskarte (Picture postcard) 1900, EARLY BALLOON MAIL OF POMERANIA (POMORZE), ppc "Flying Balloon" written by Colonel Hugo Wilhelm von Abercron, dated 2.8.00, written over KOLBERG (KOLOBRZEG) at 1500m, sending greetings to his wife in Berlin (lower part of message was added afterwards, apparently not with fraudulent intention but as further explanation), franked by 5pf. 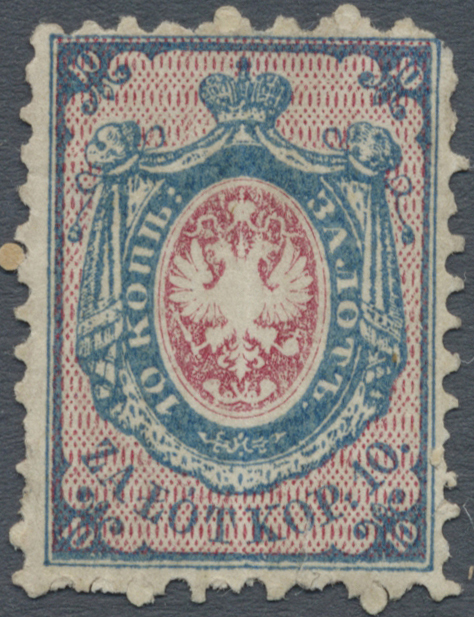 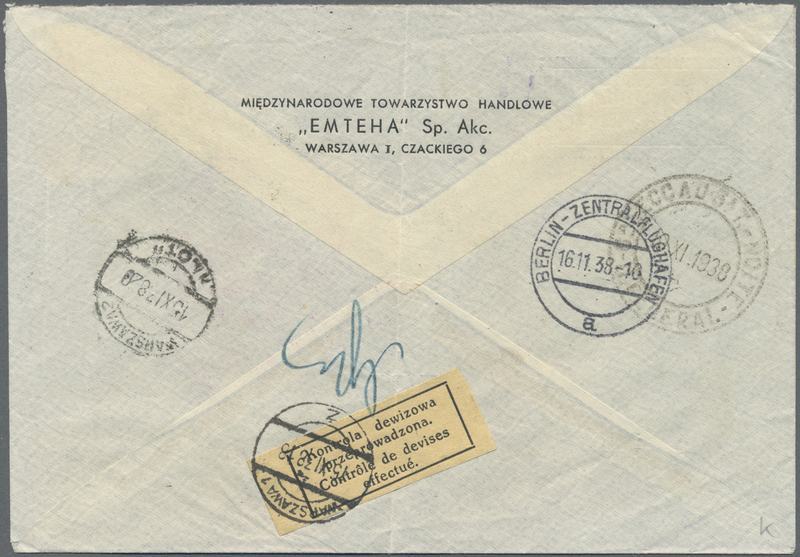 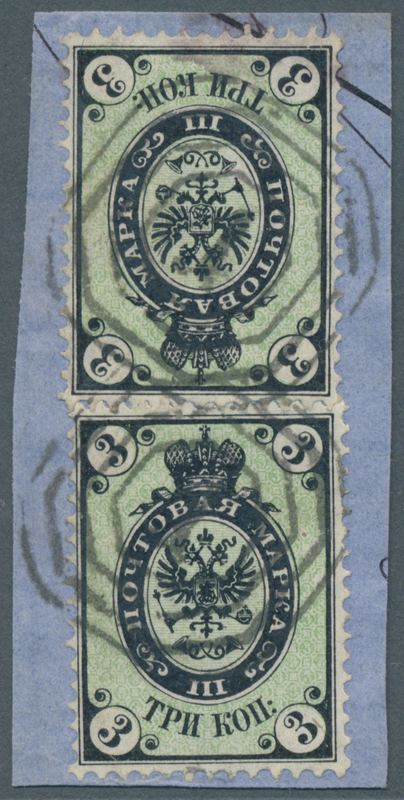 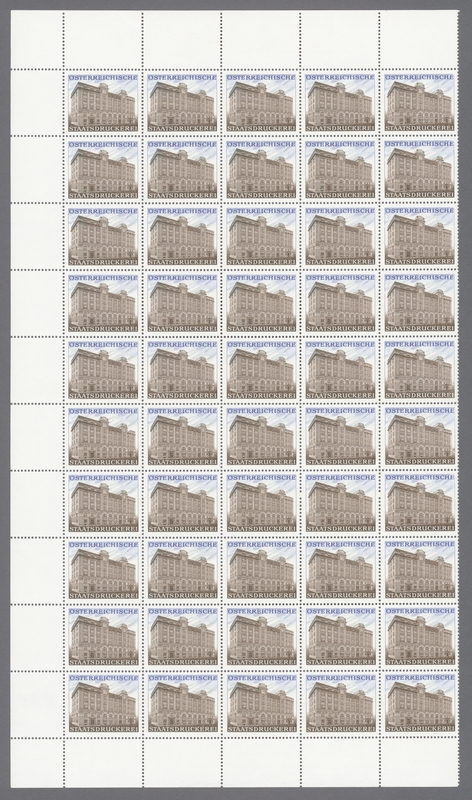 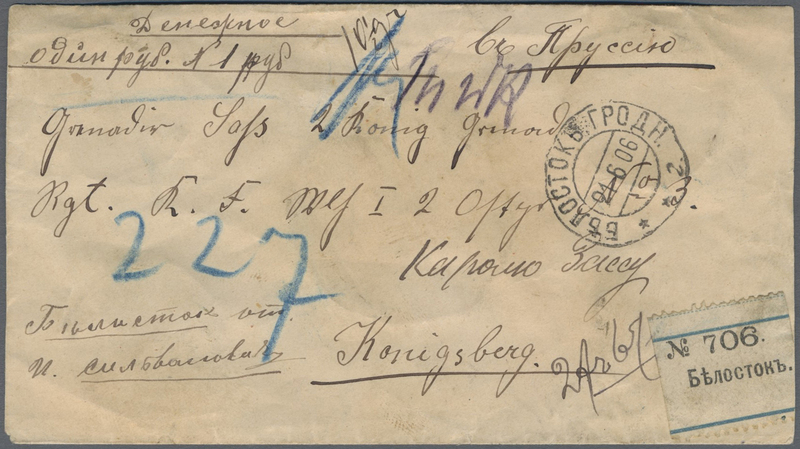 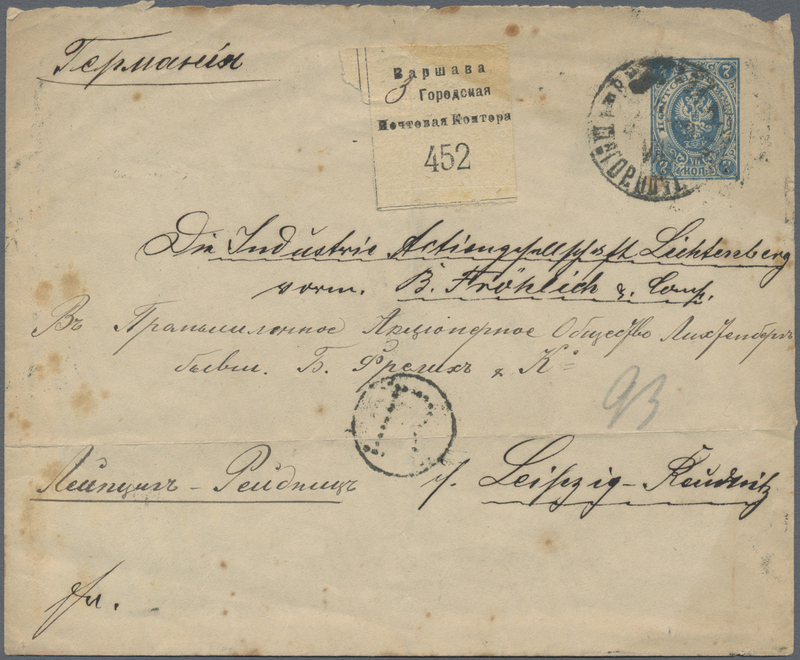 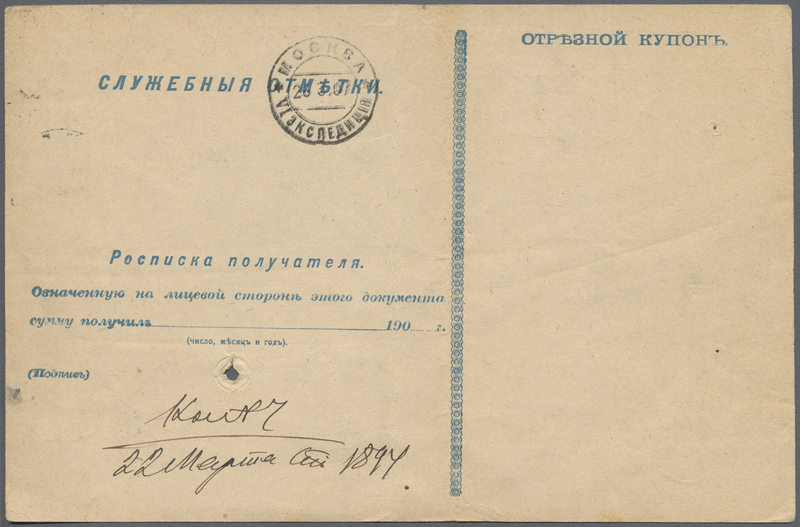 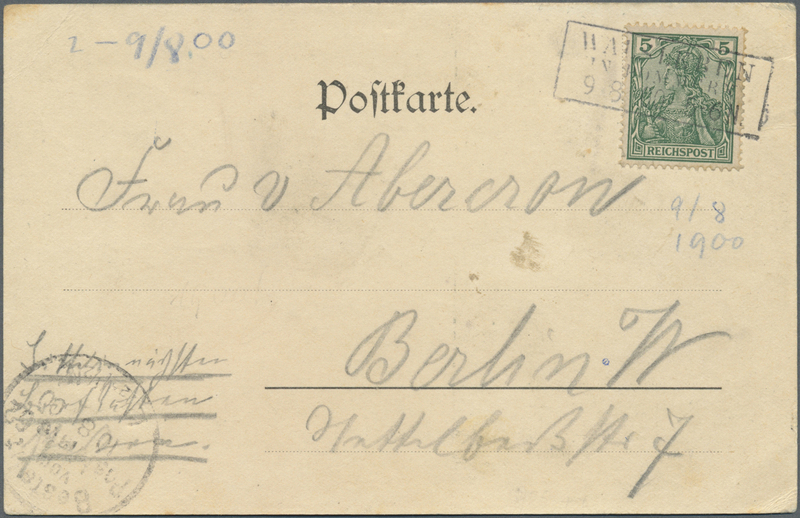 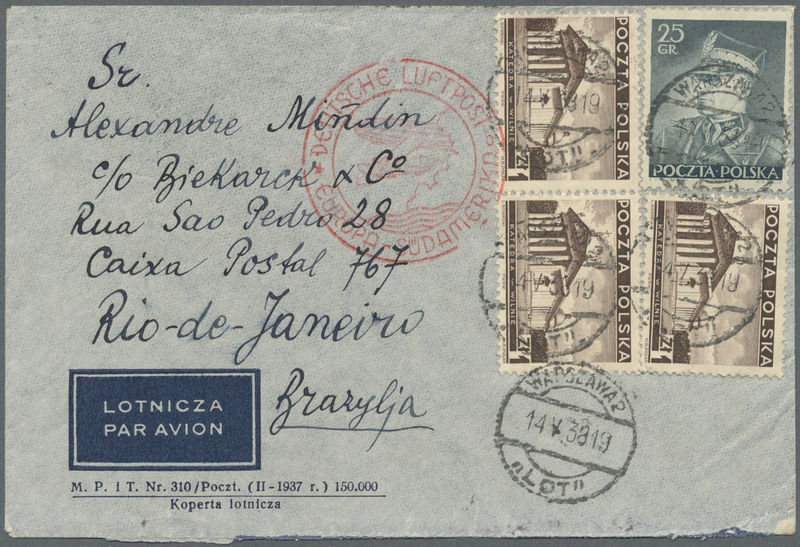 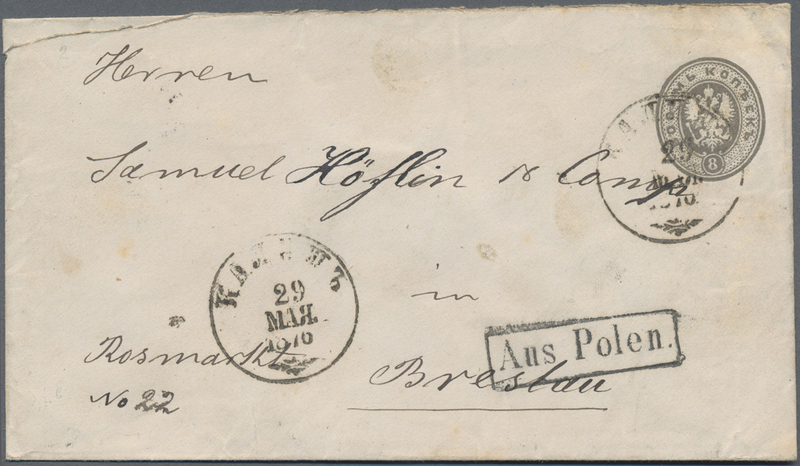 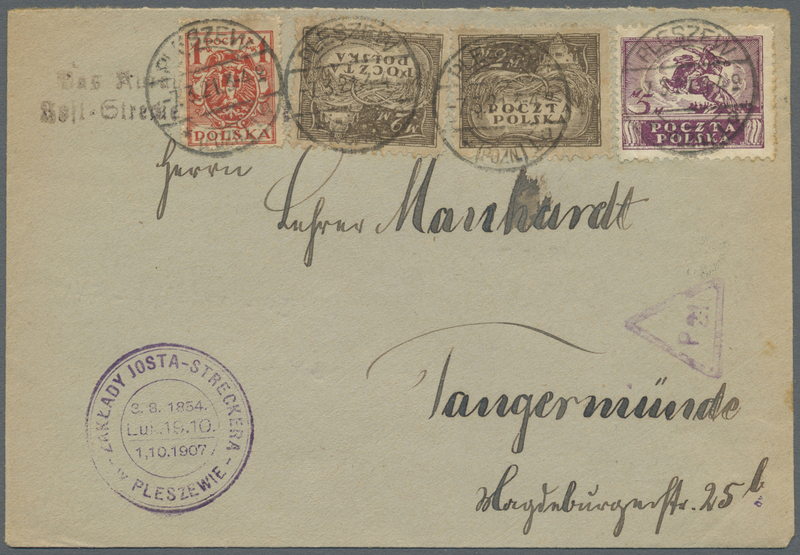 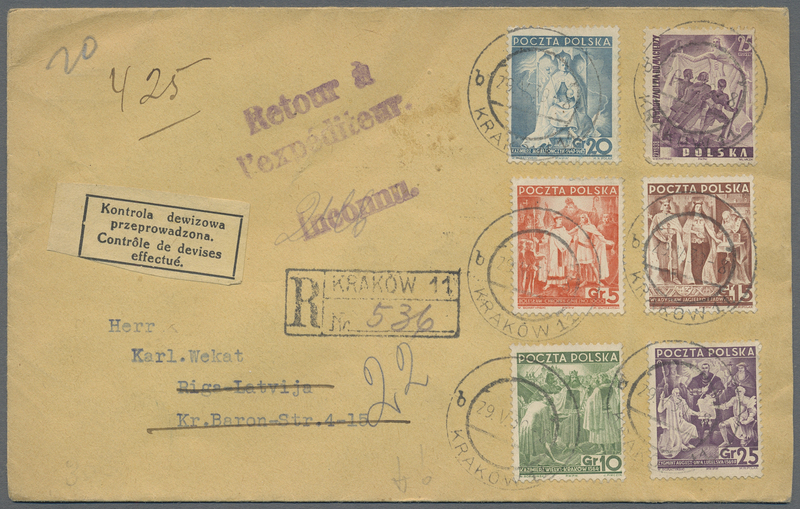 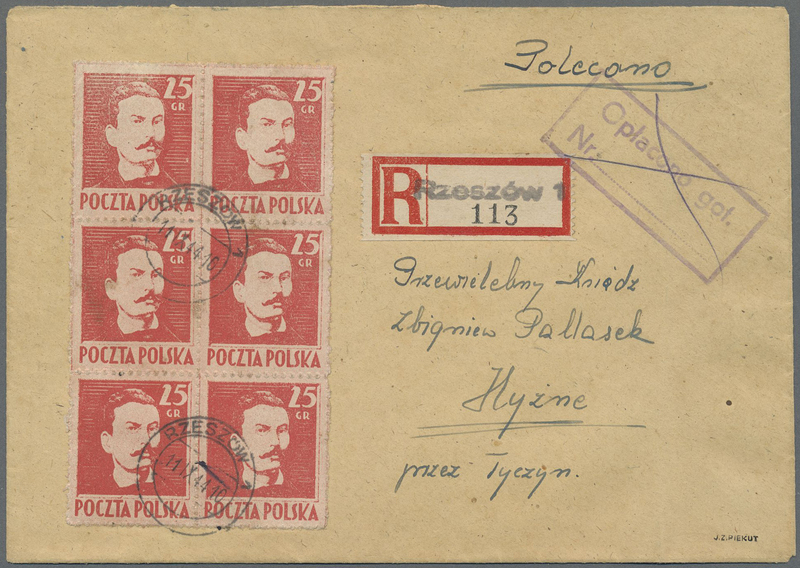 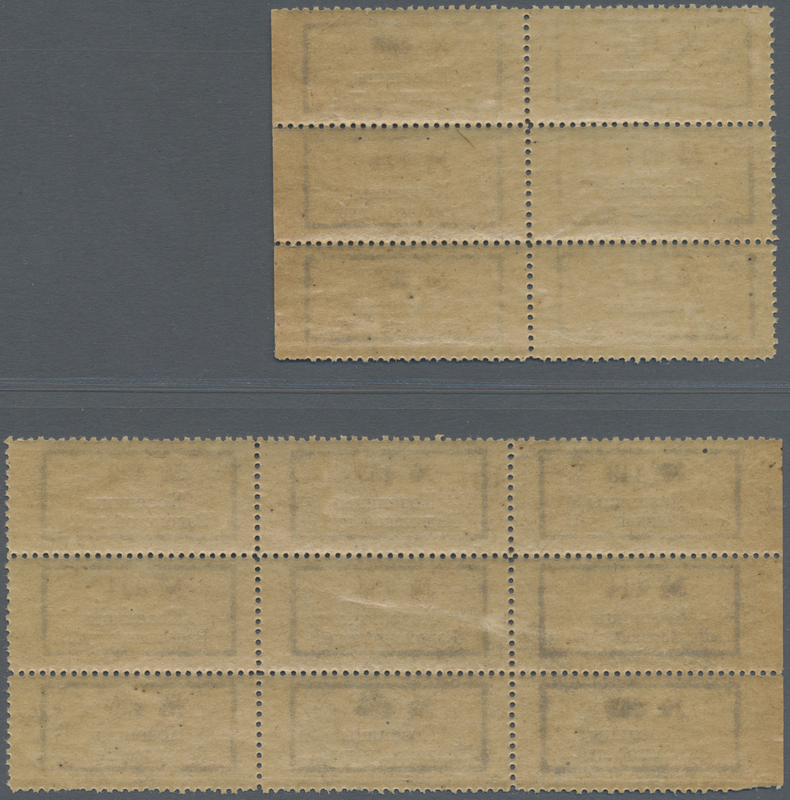 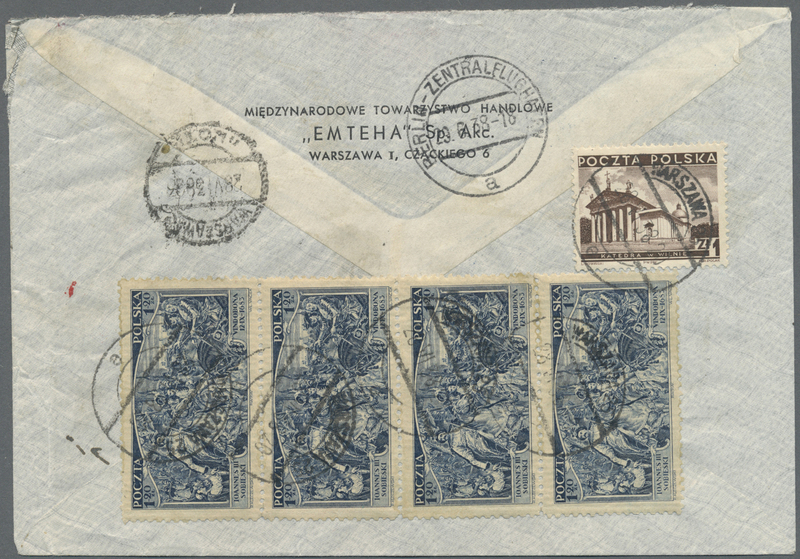 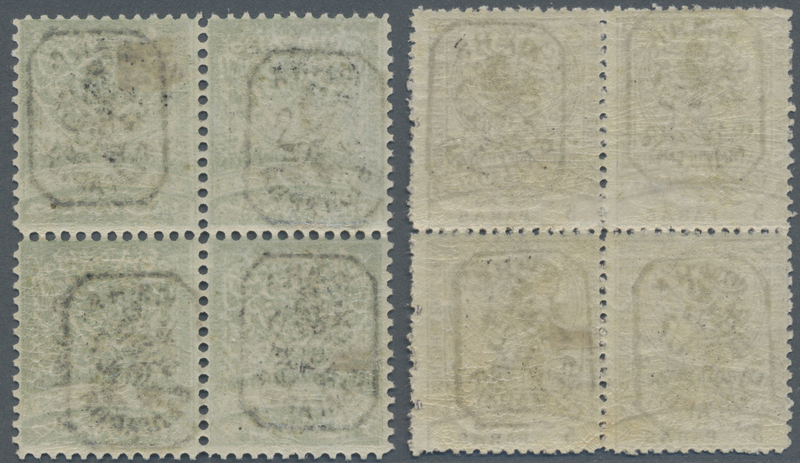 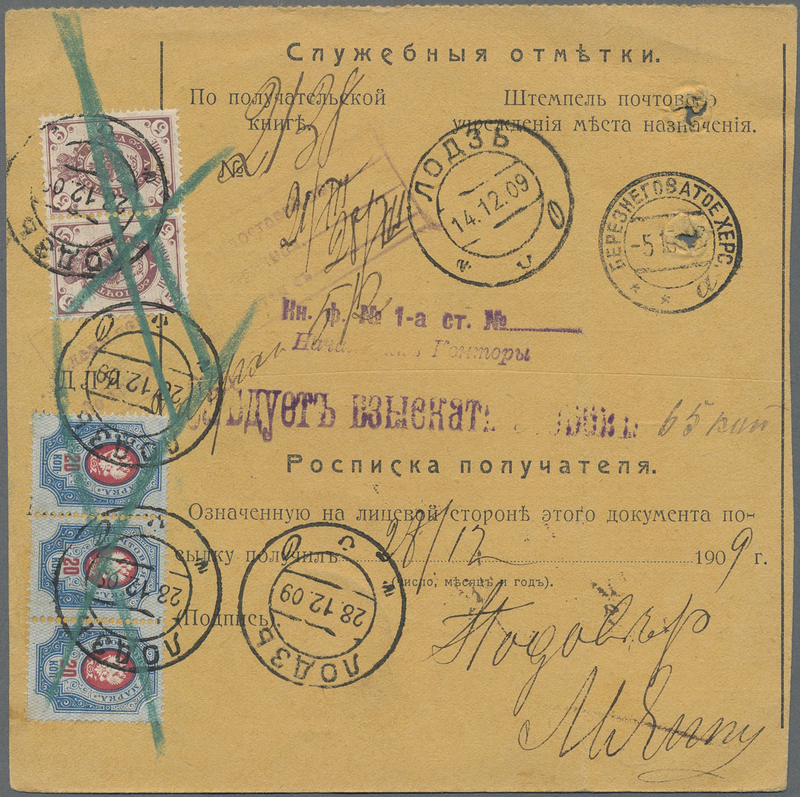 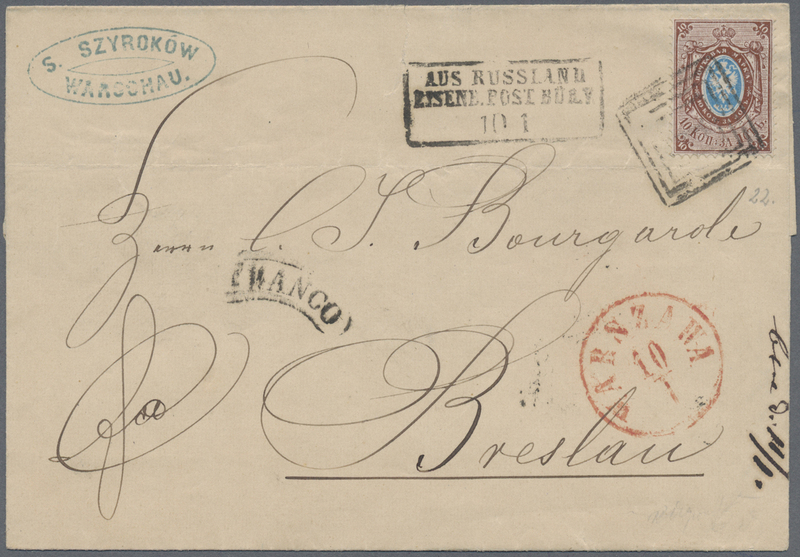 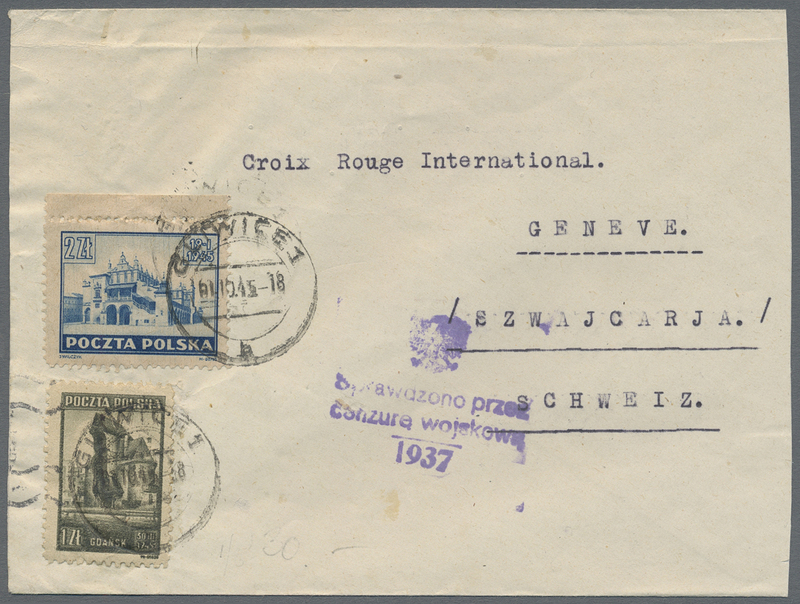 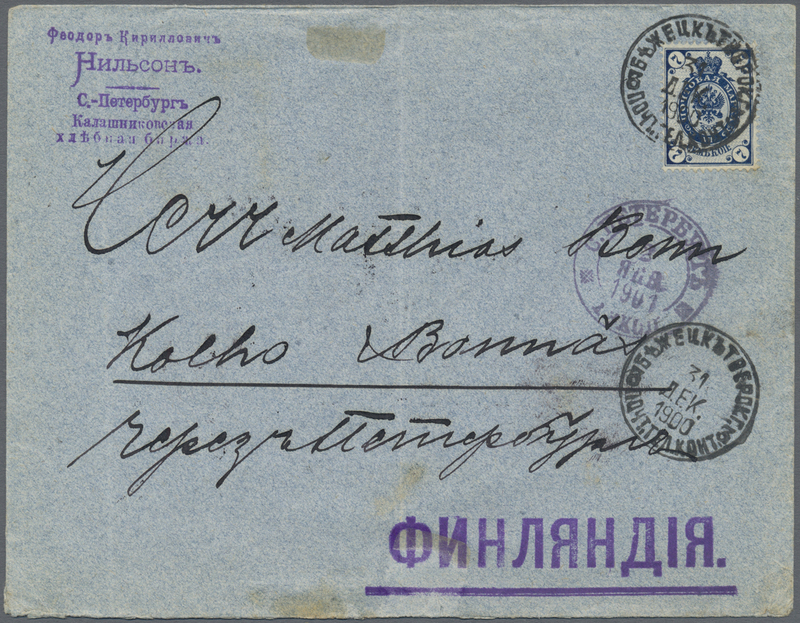 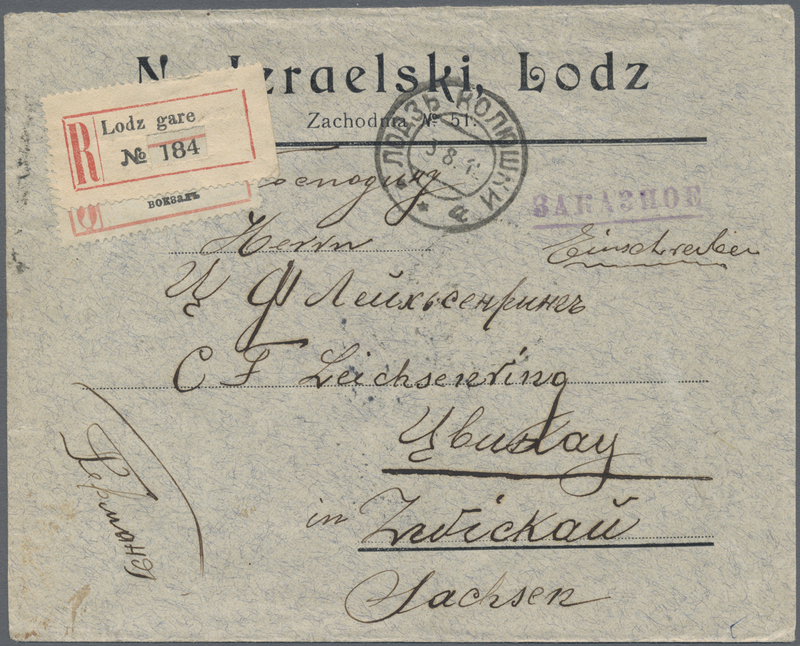 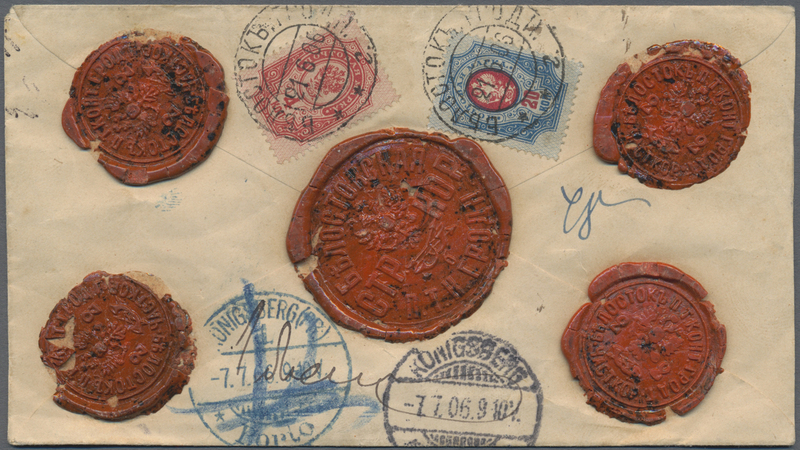 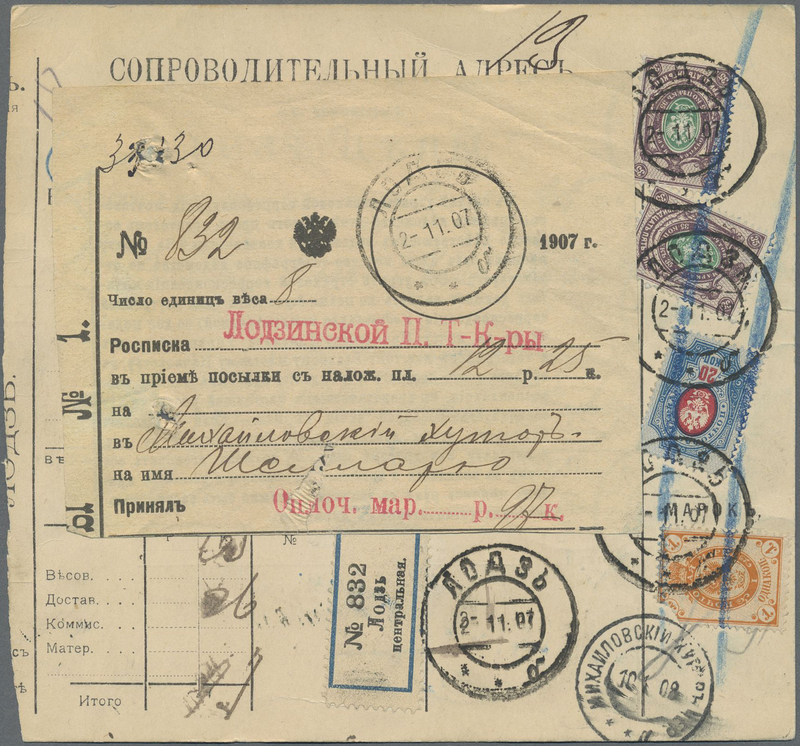 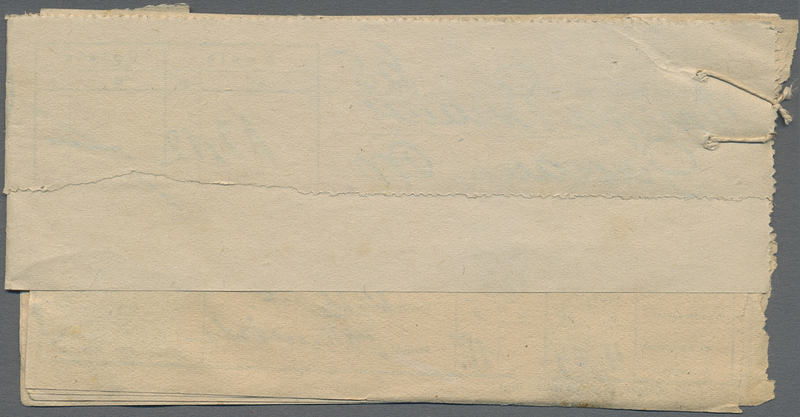 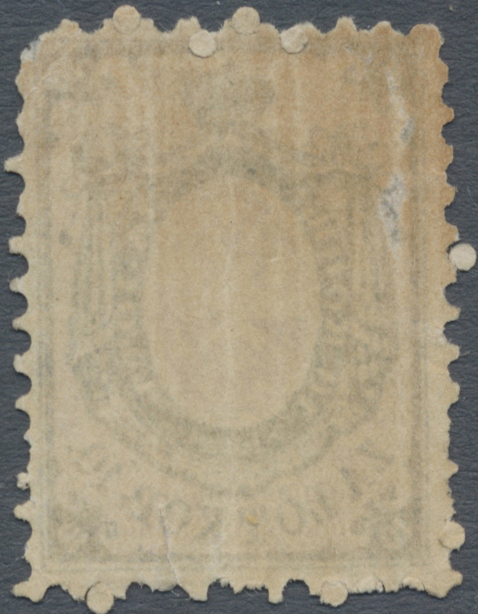 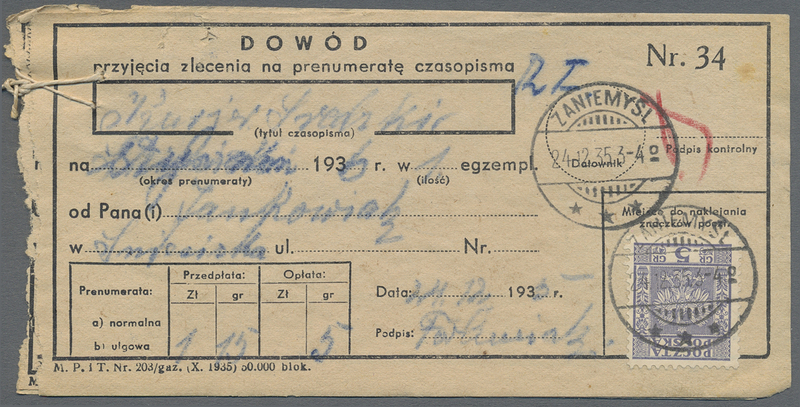 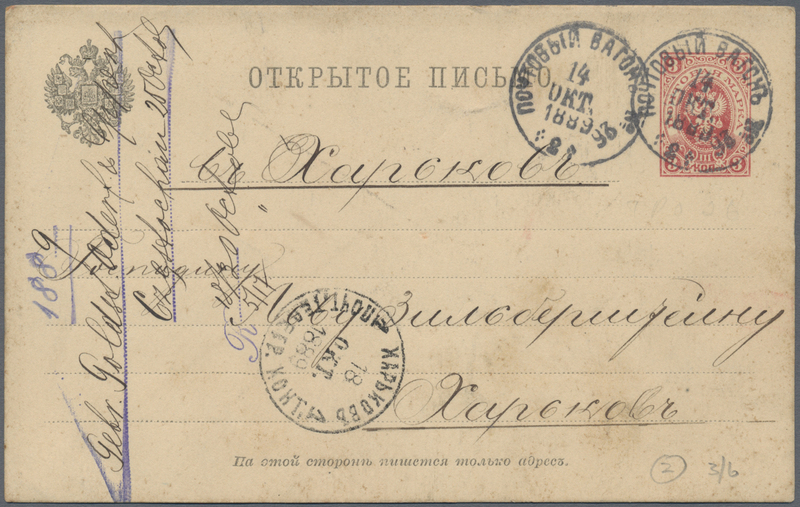 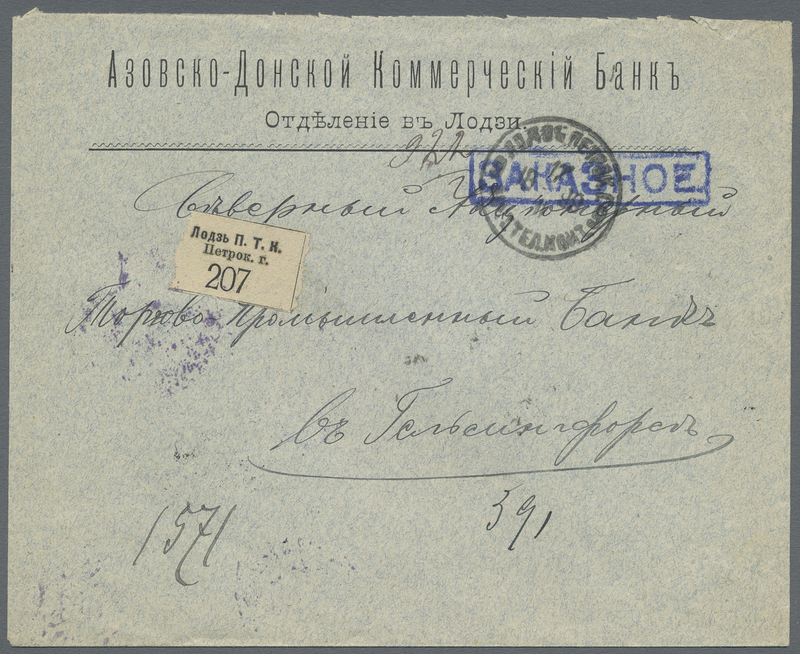 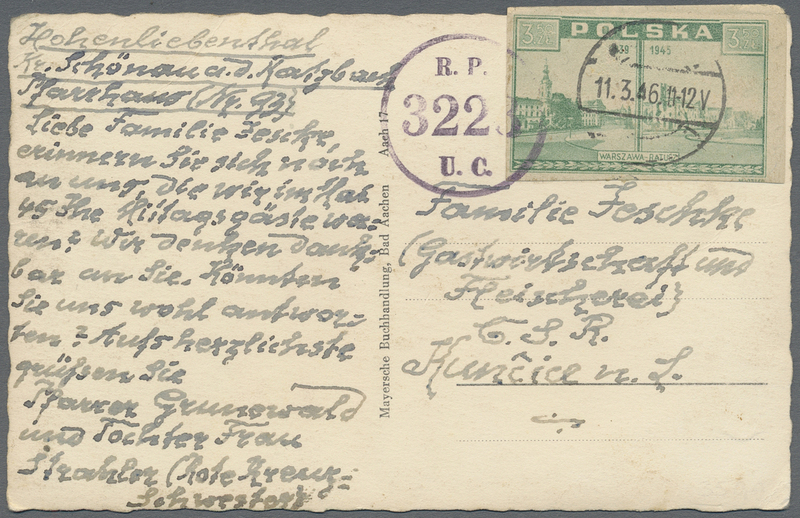 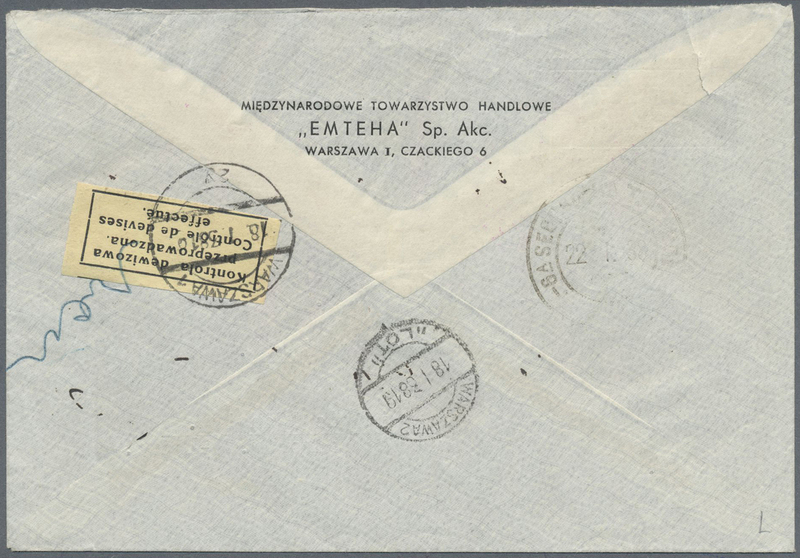 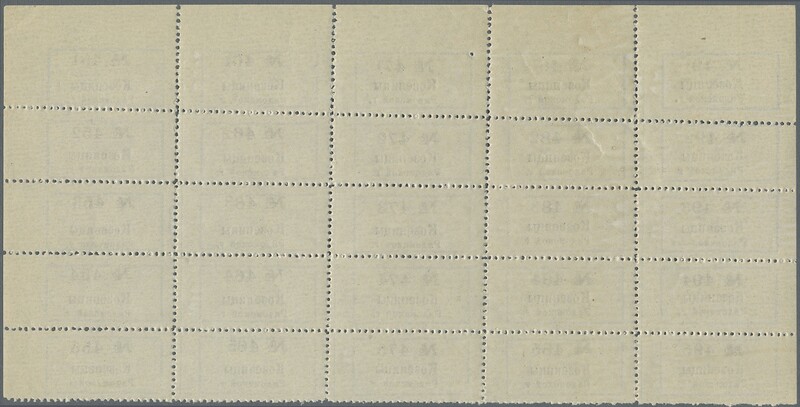 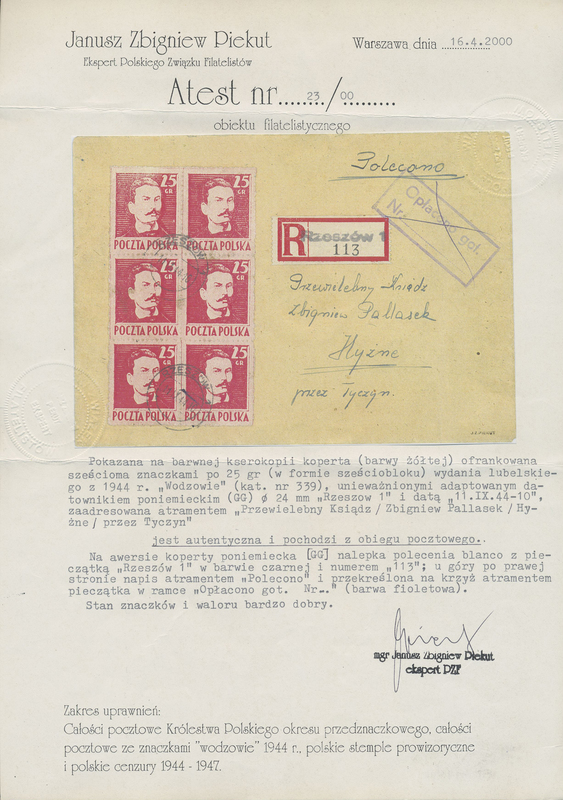 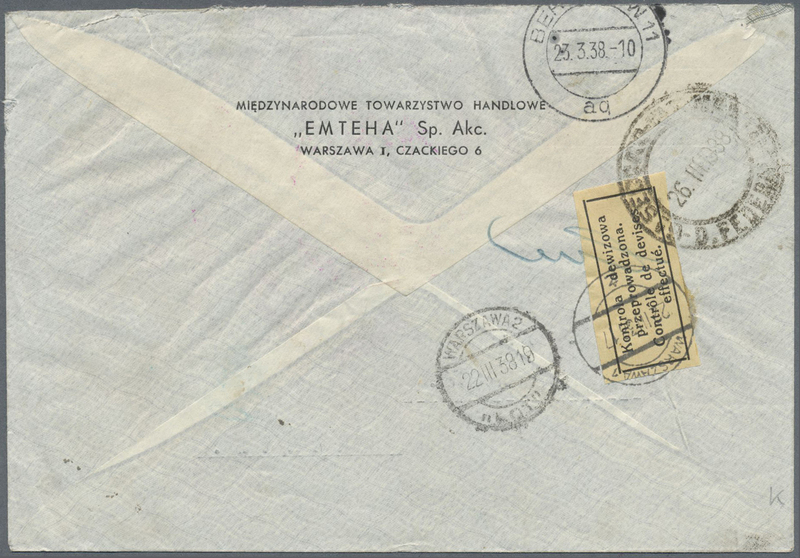 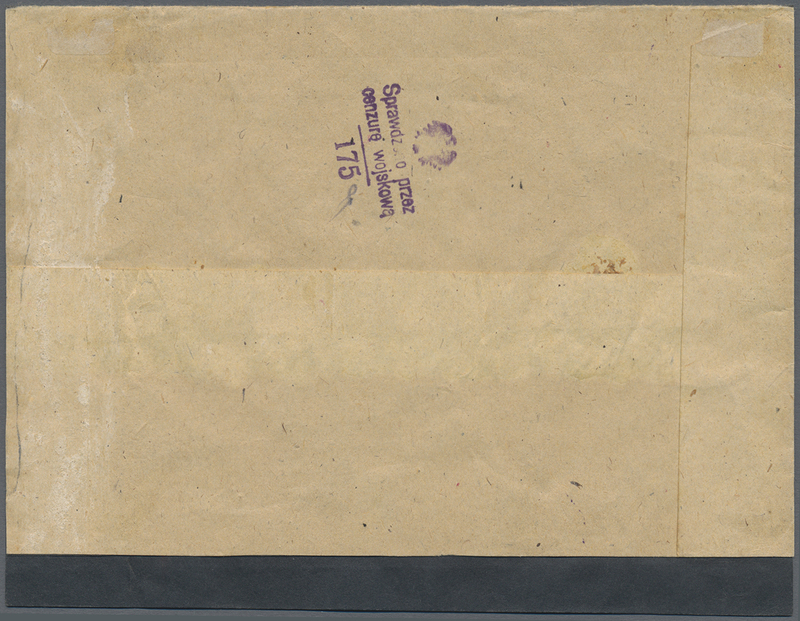 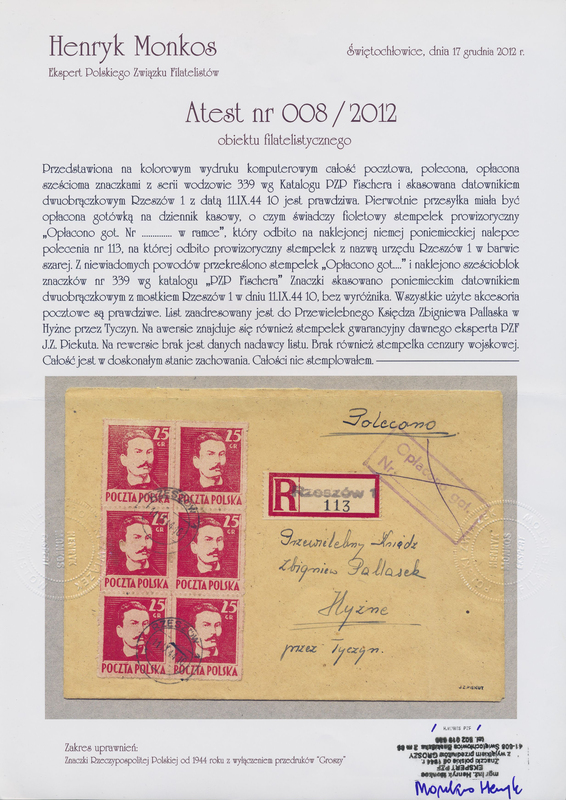 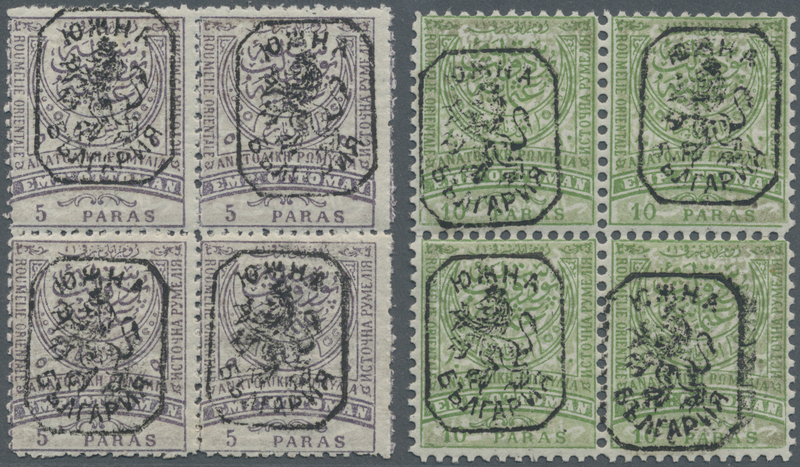 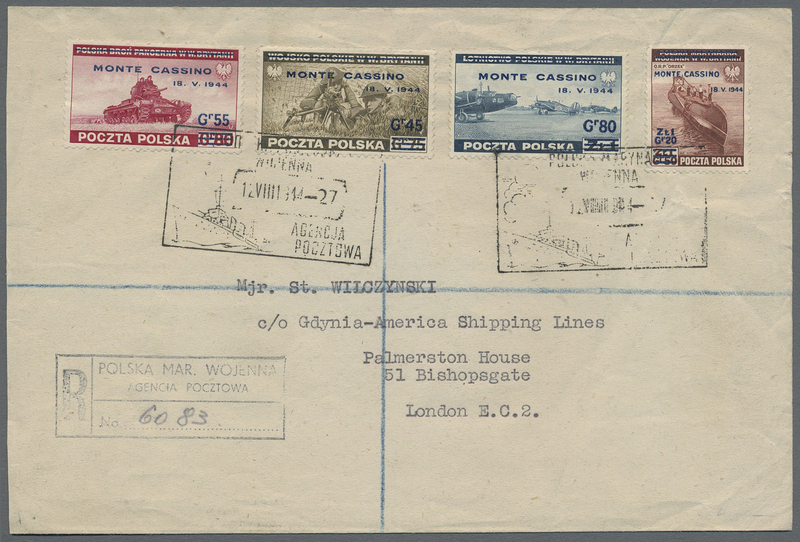 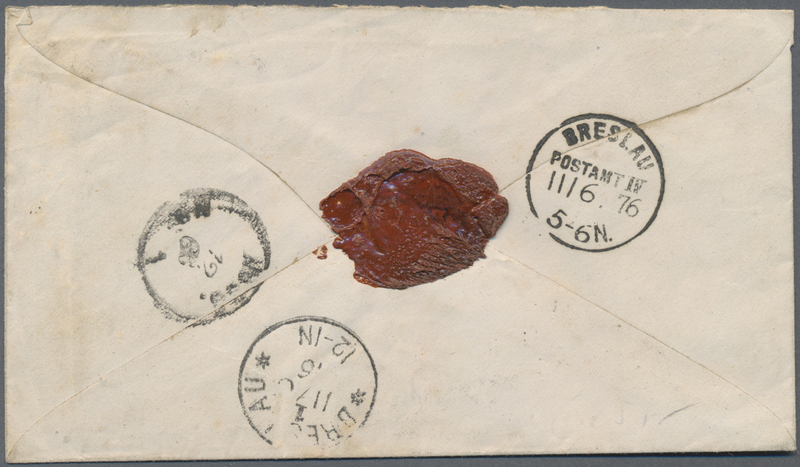 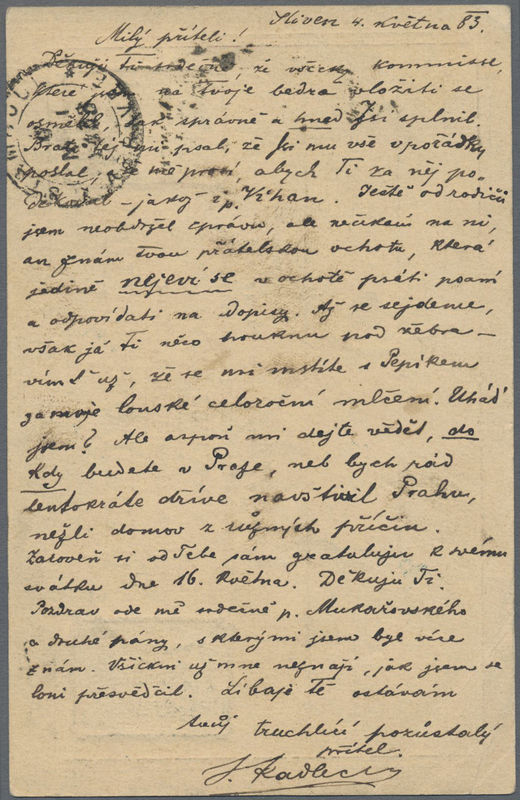 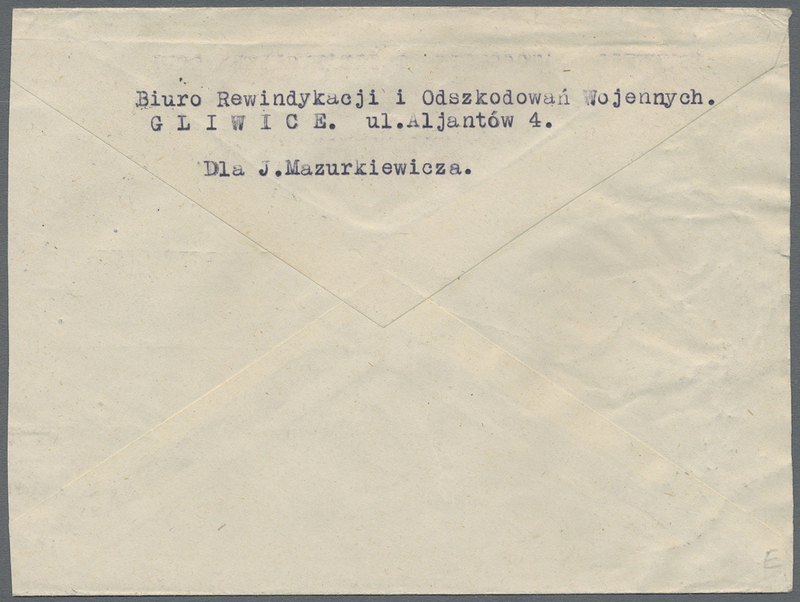 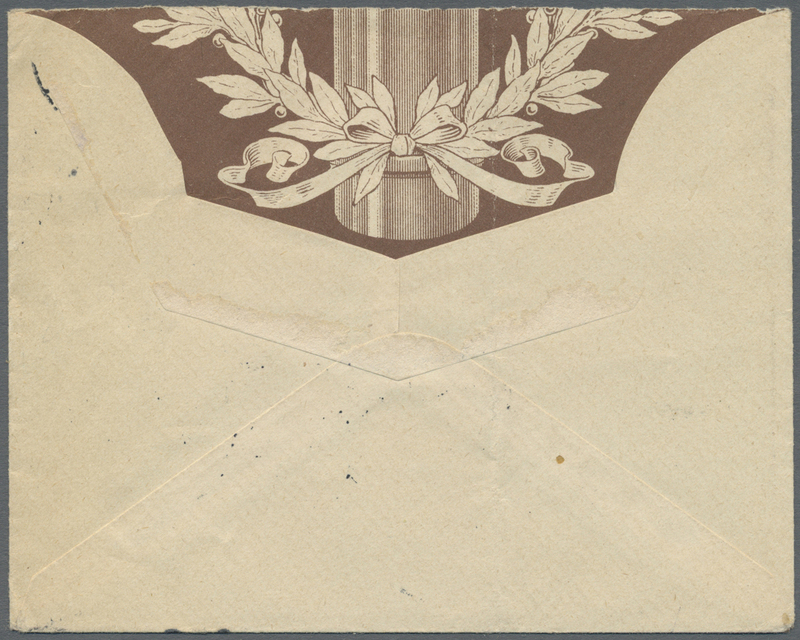 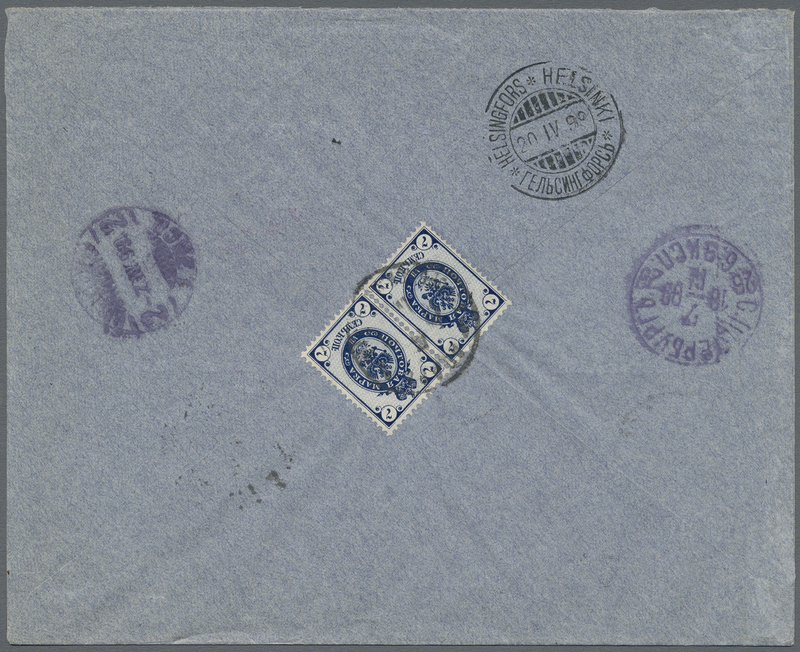 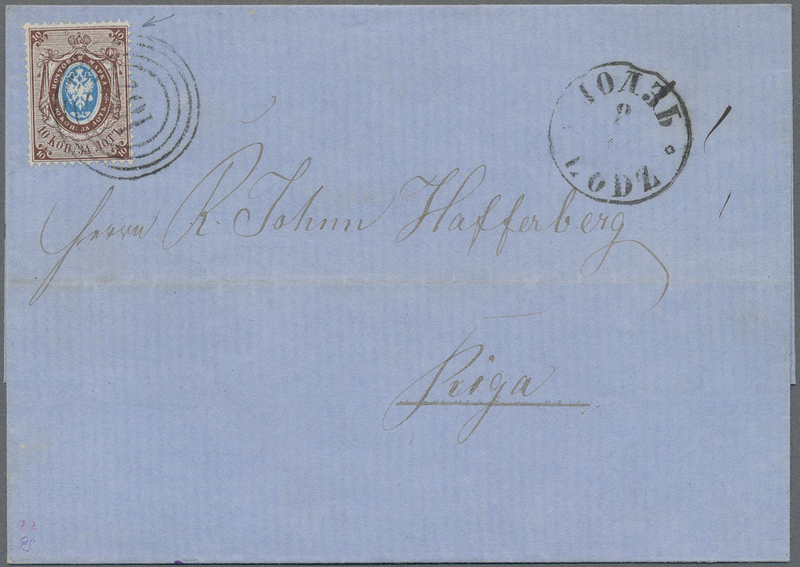 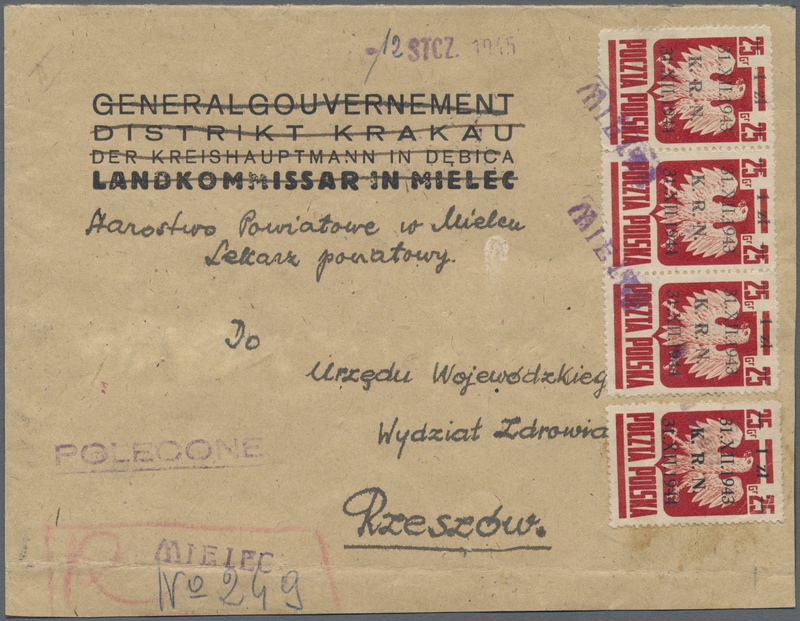 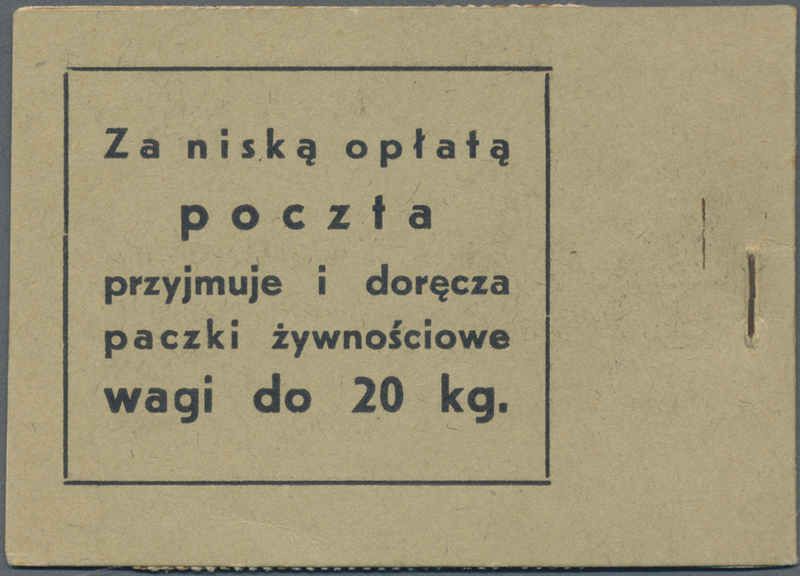 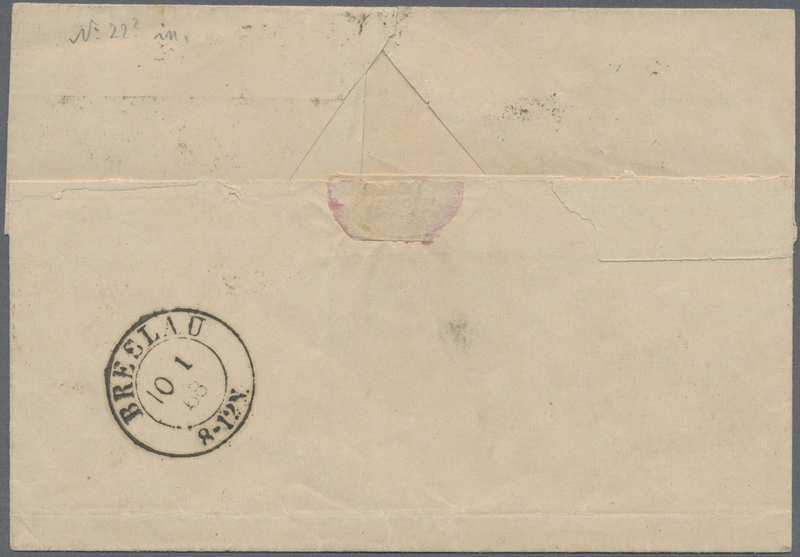 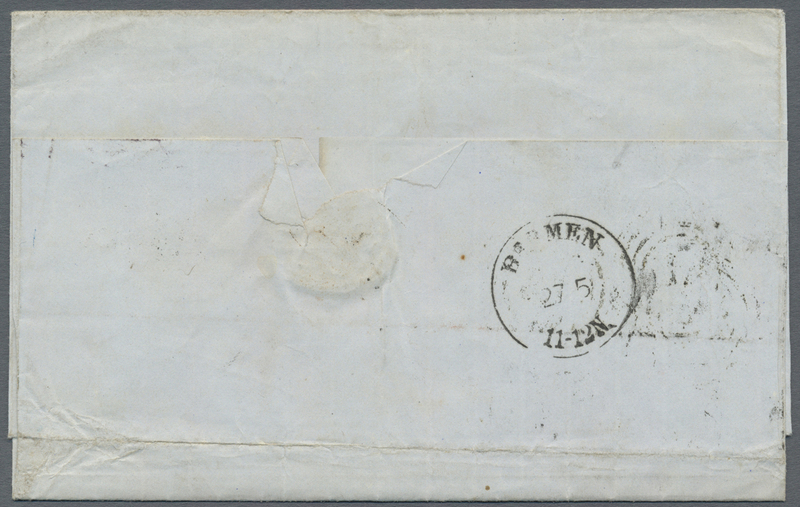 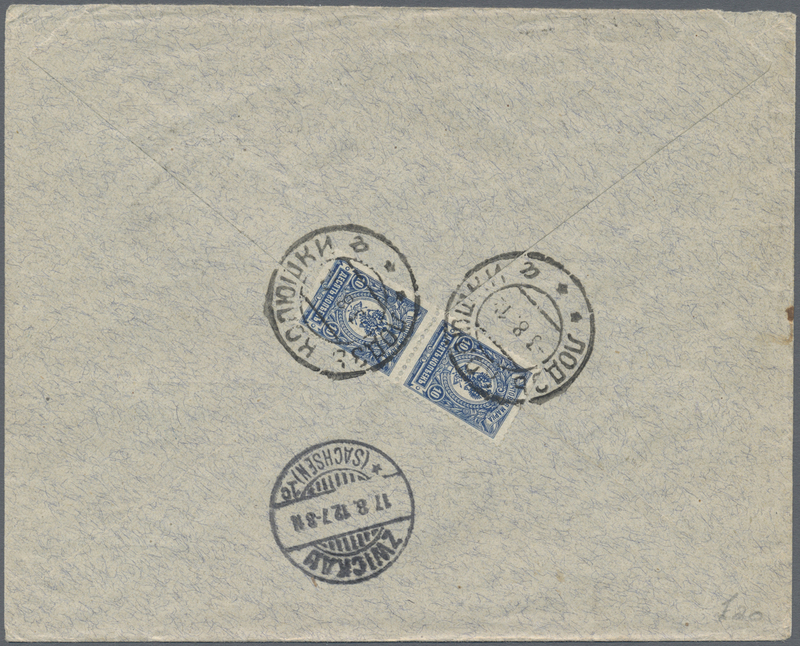 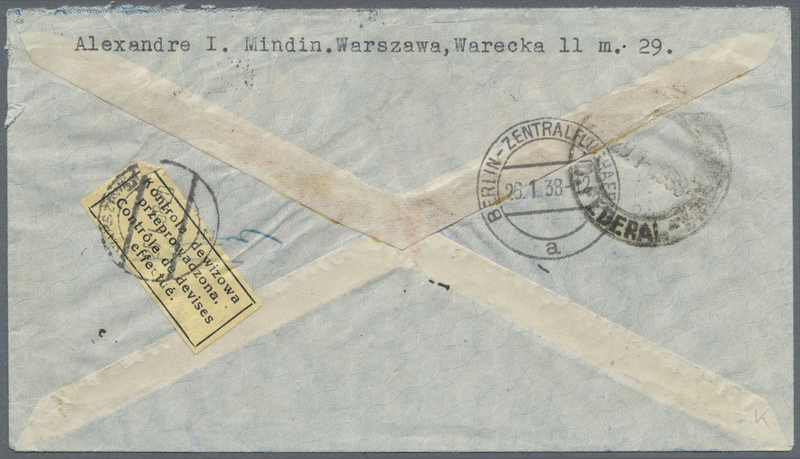 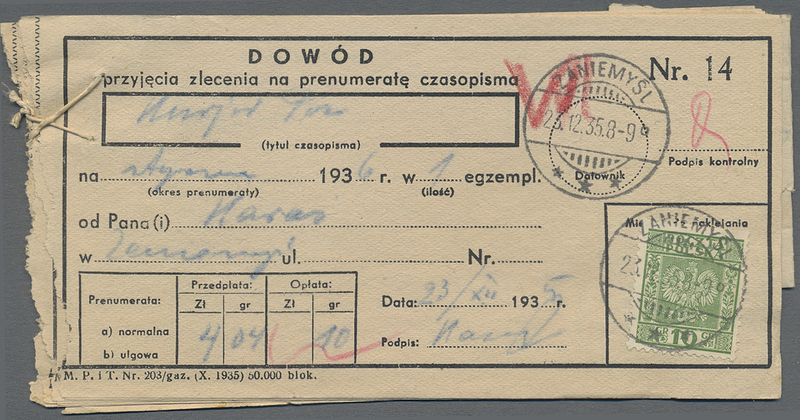 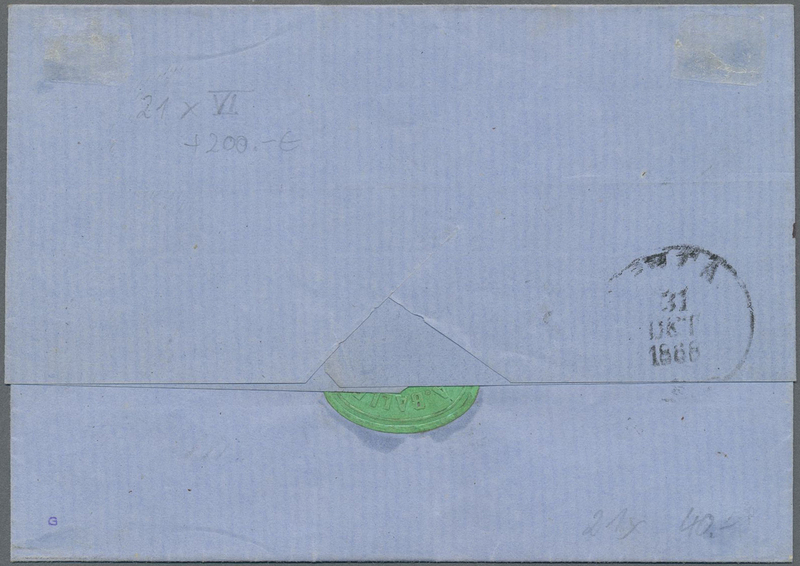 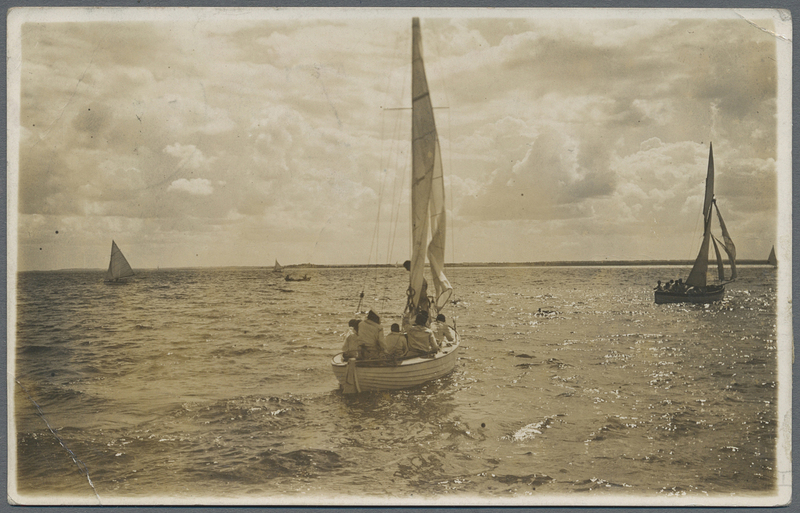 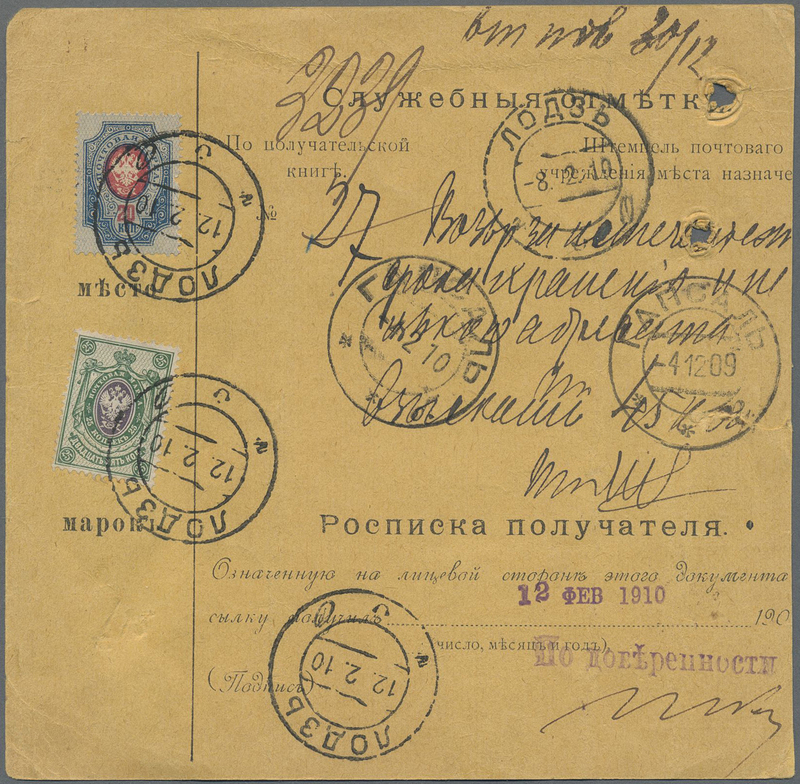 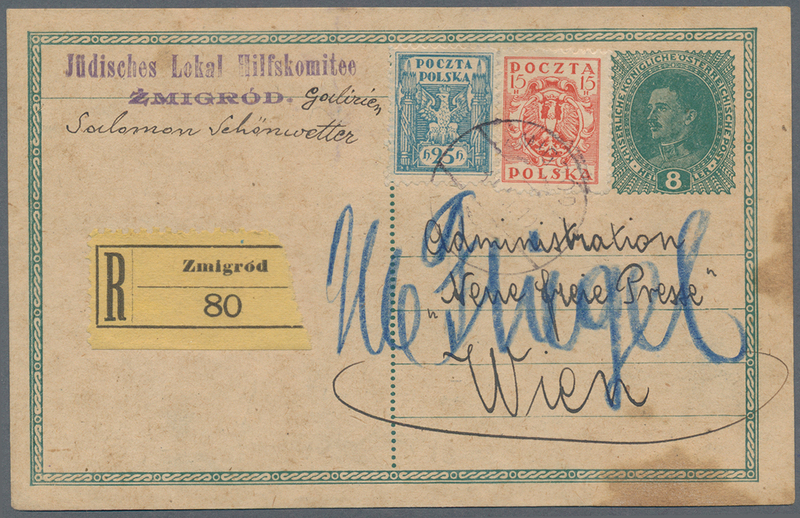 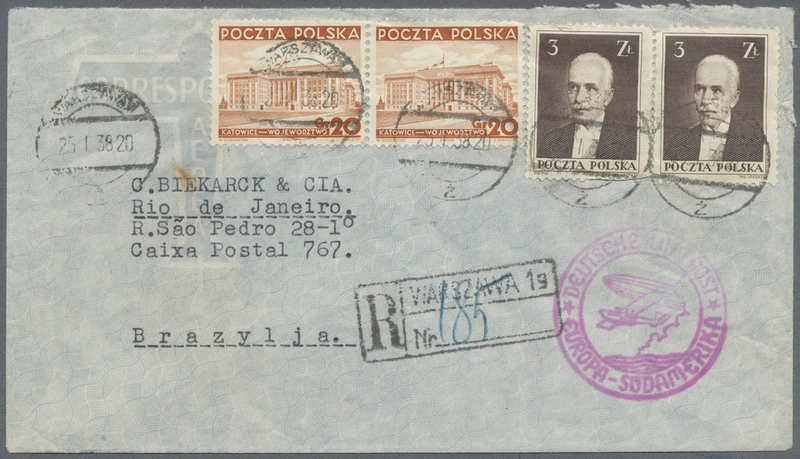 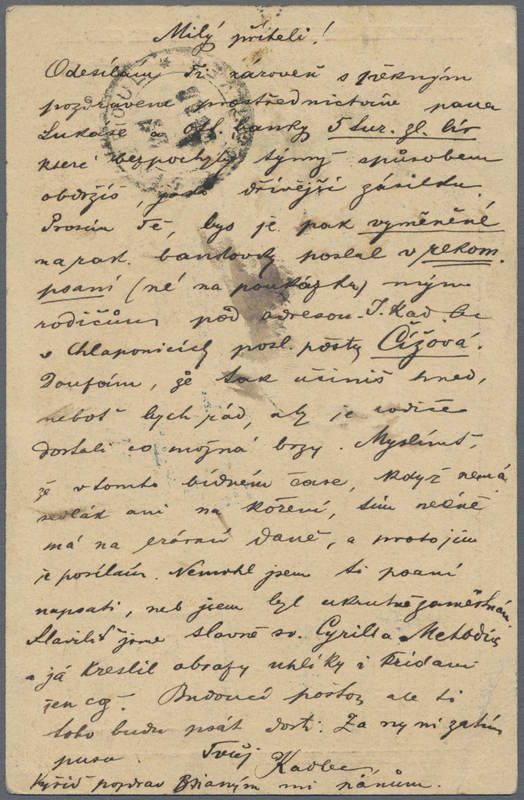 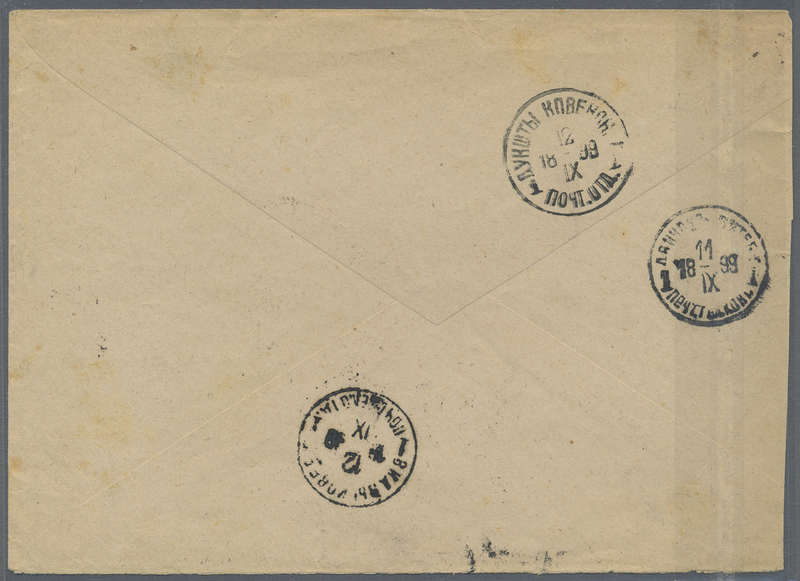 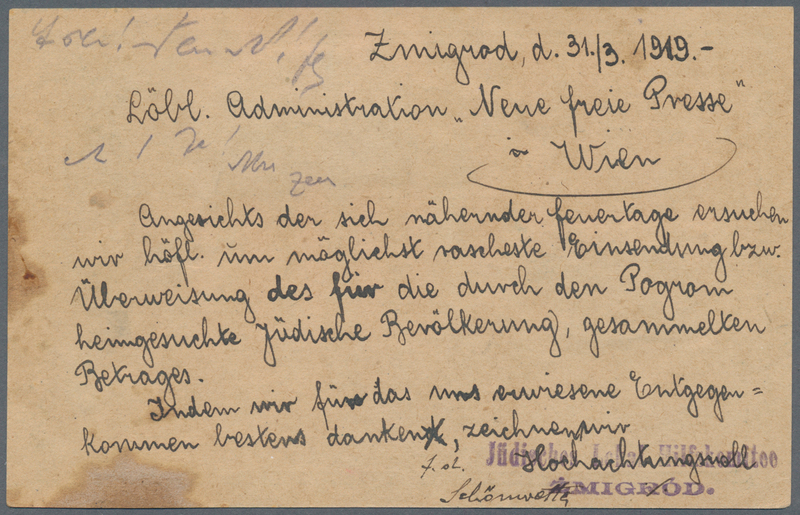 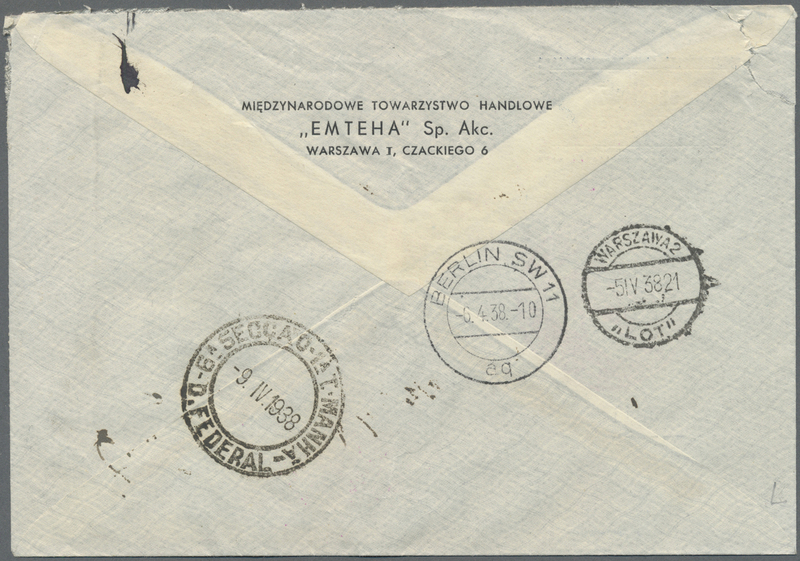 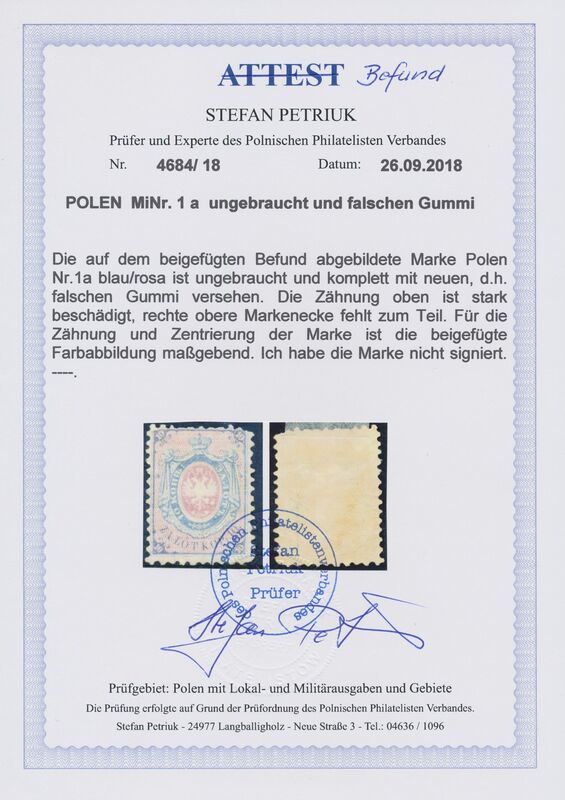 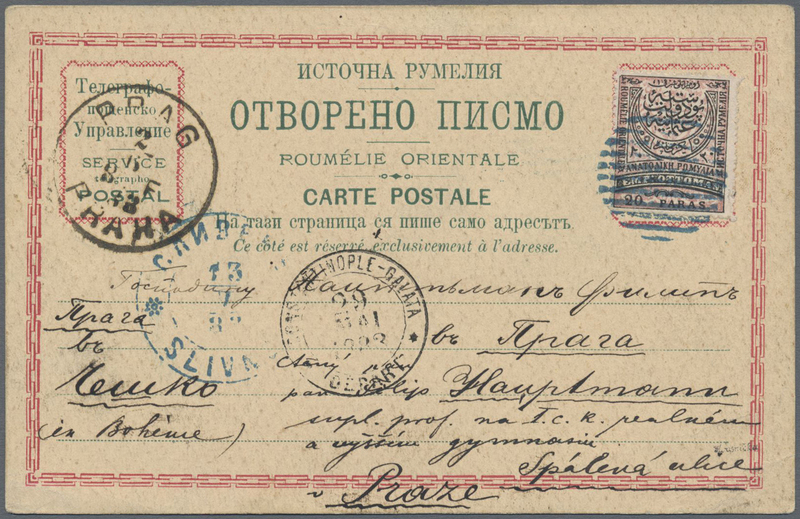 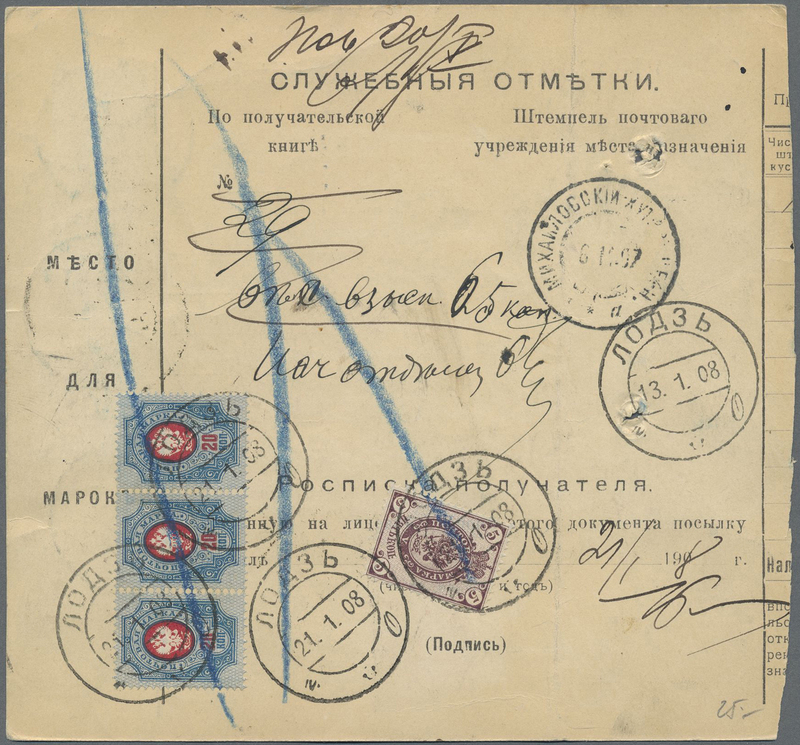 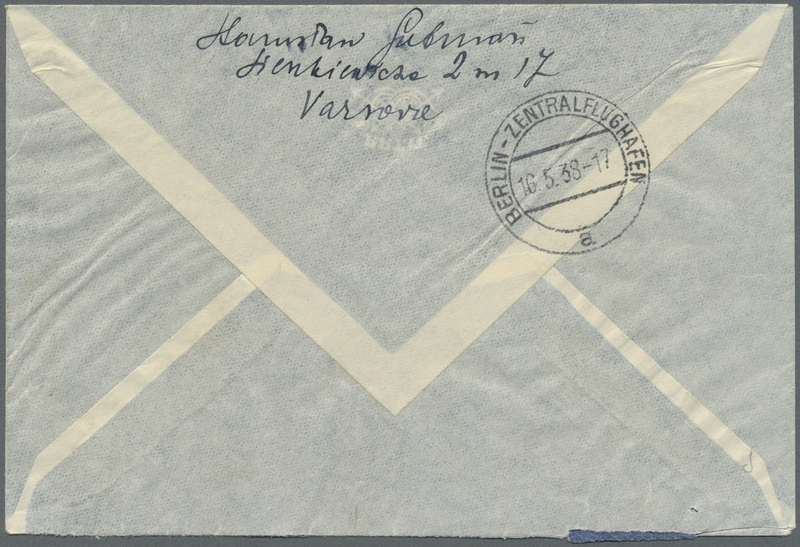 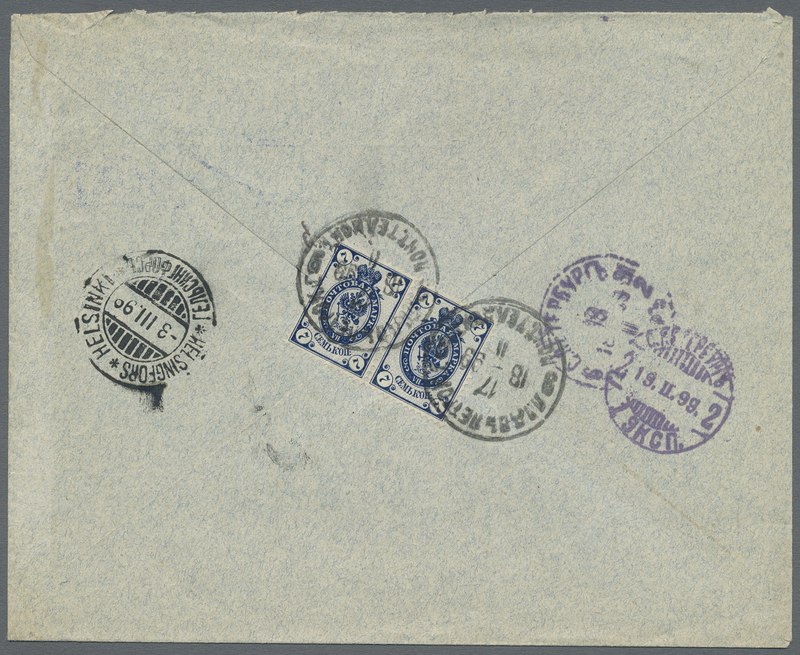 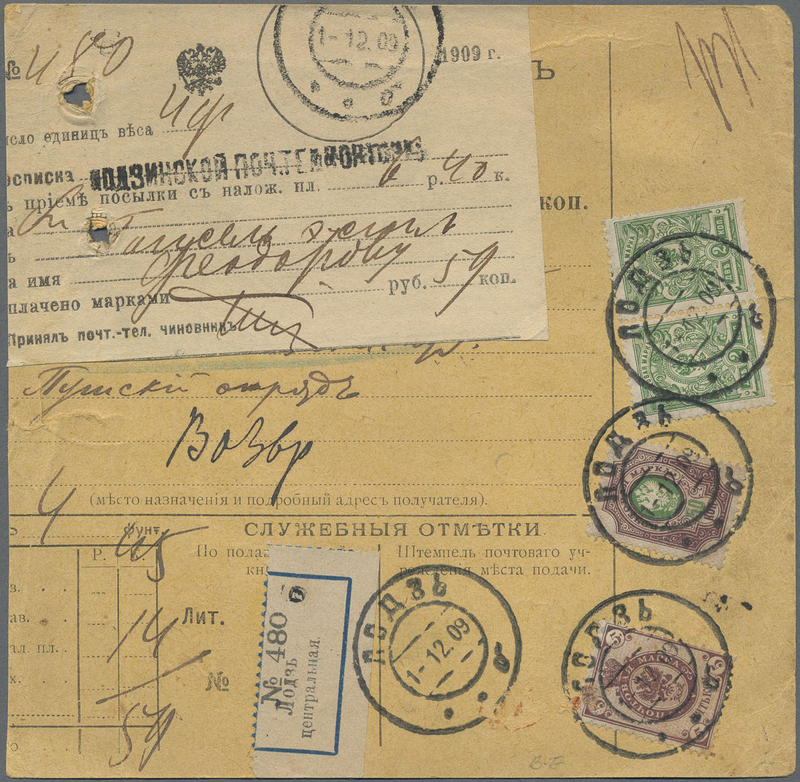 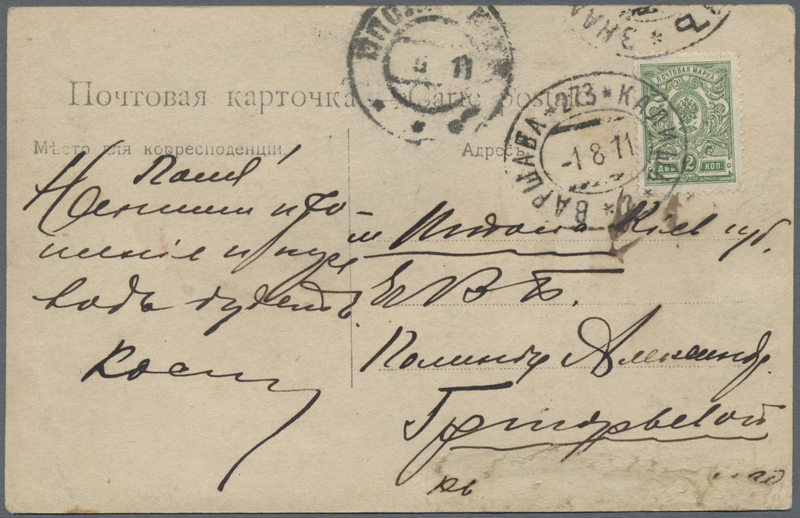 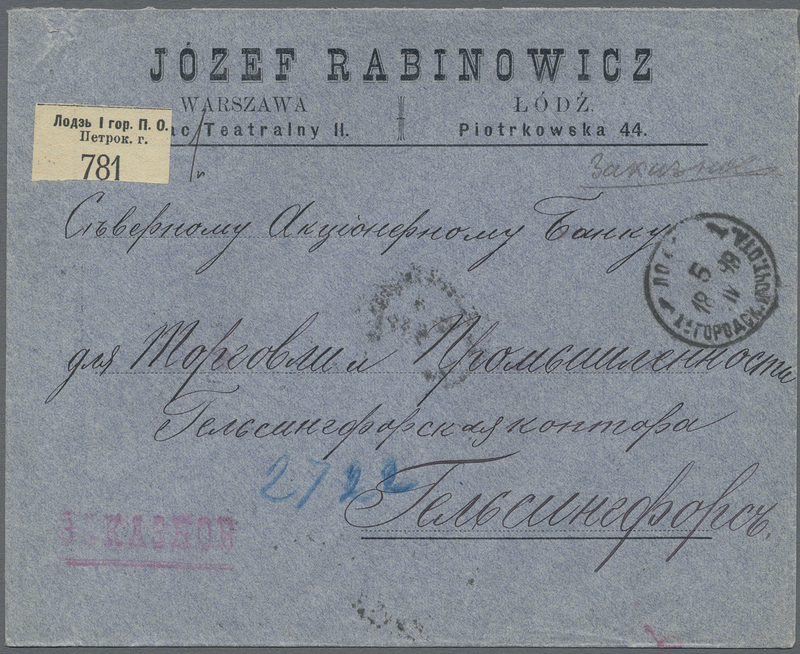 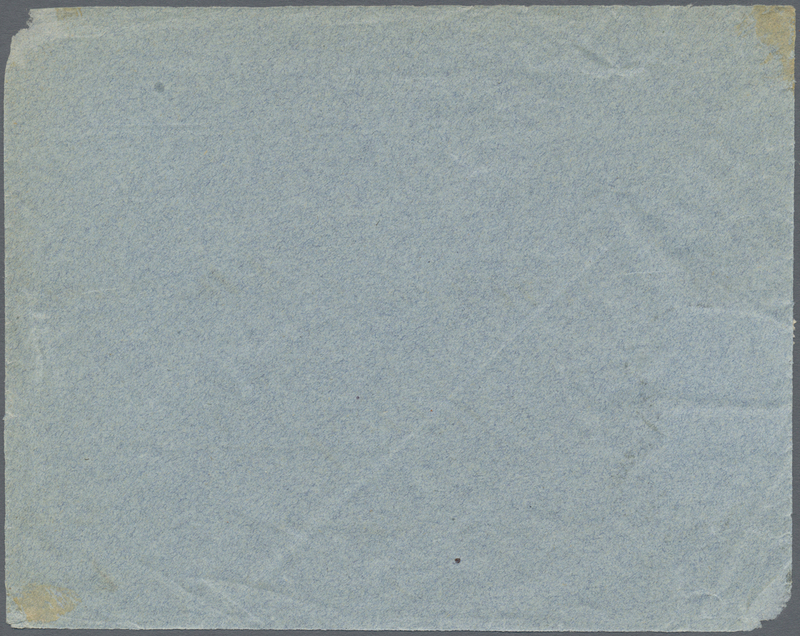 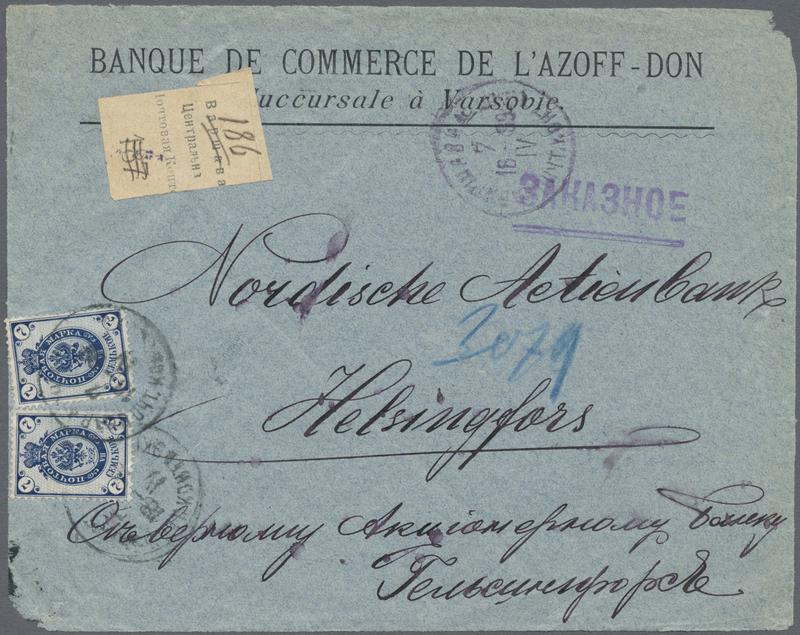 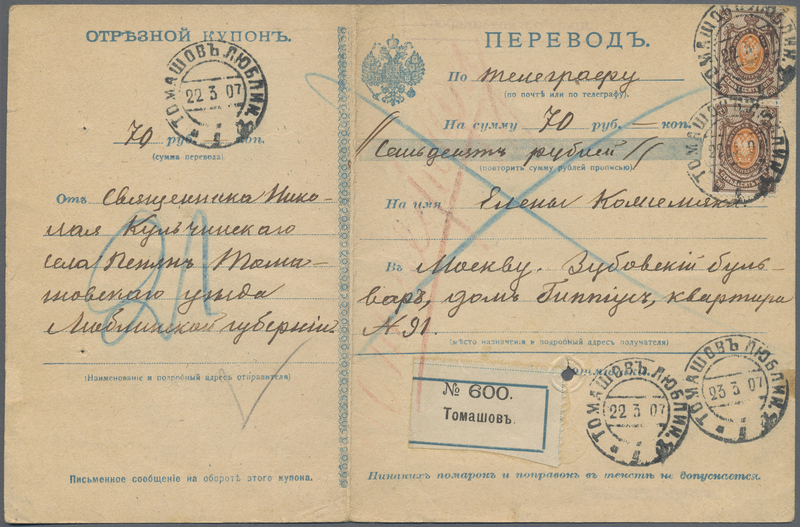 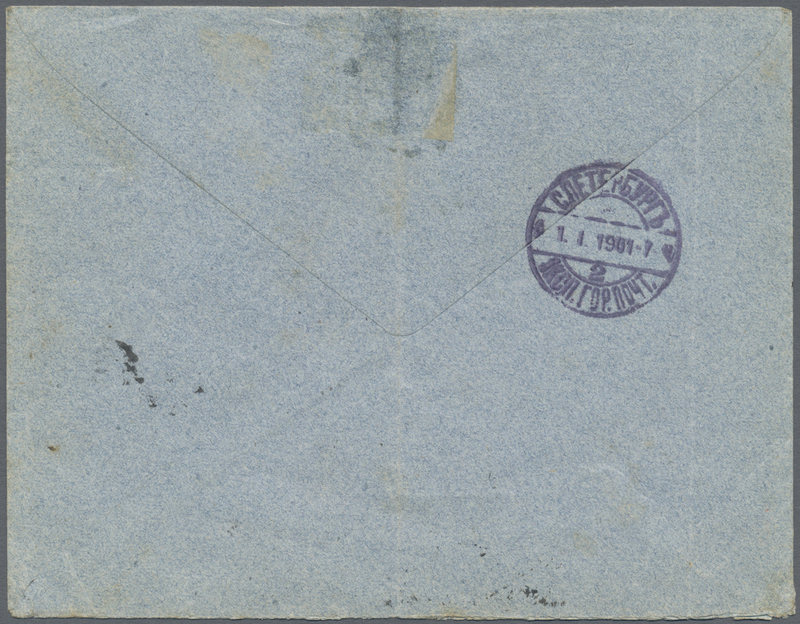 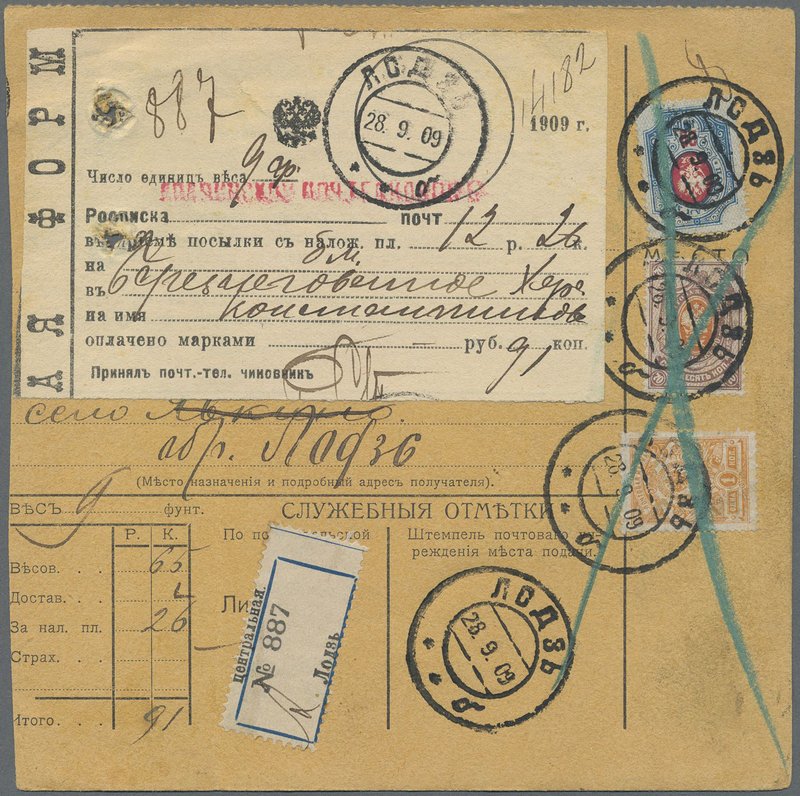 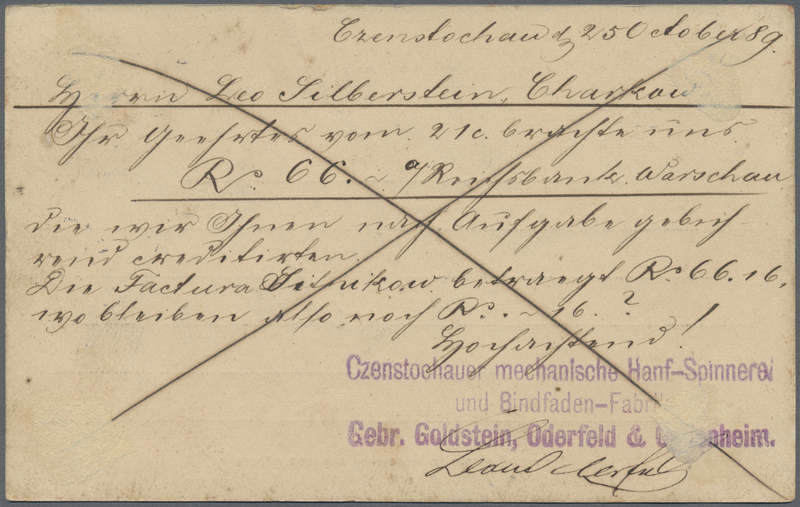 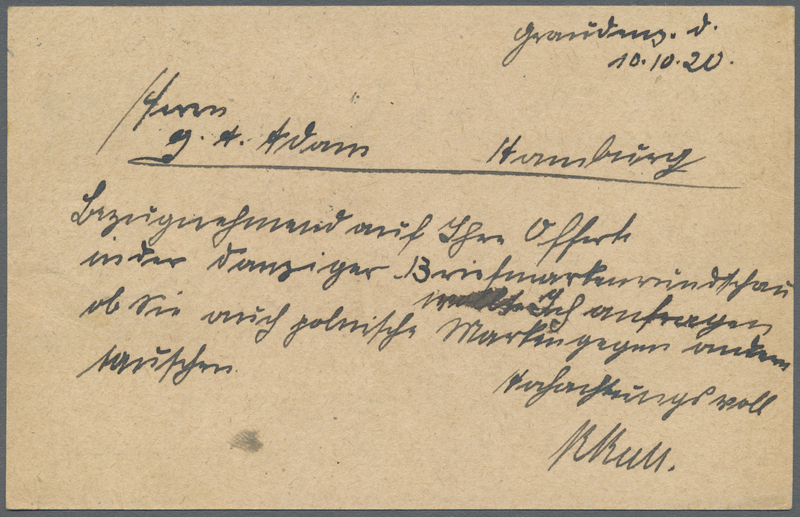 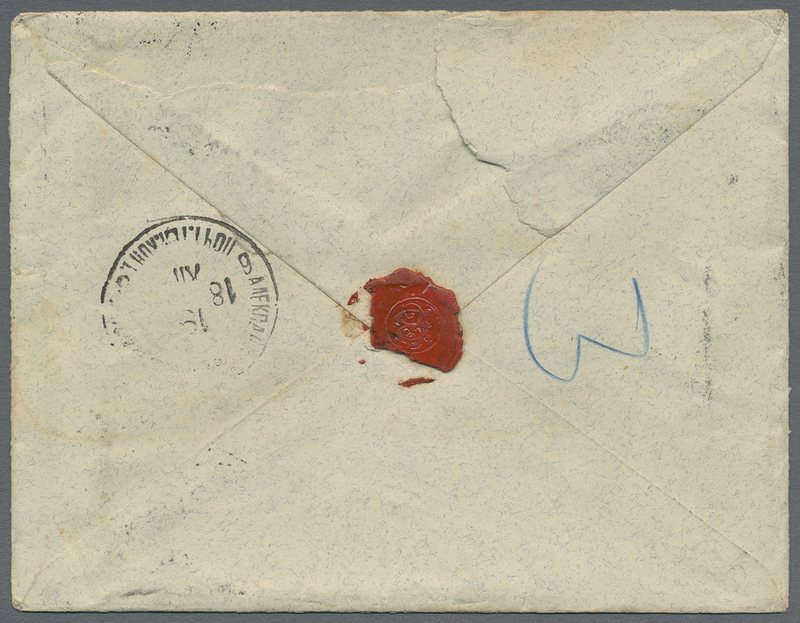 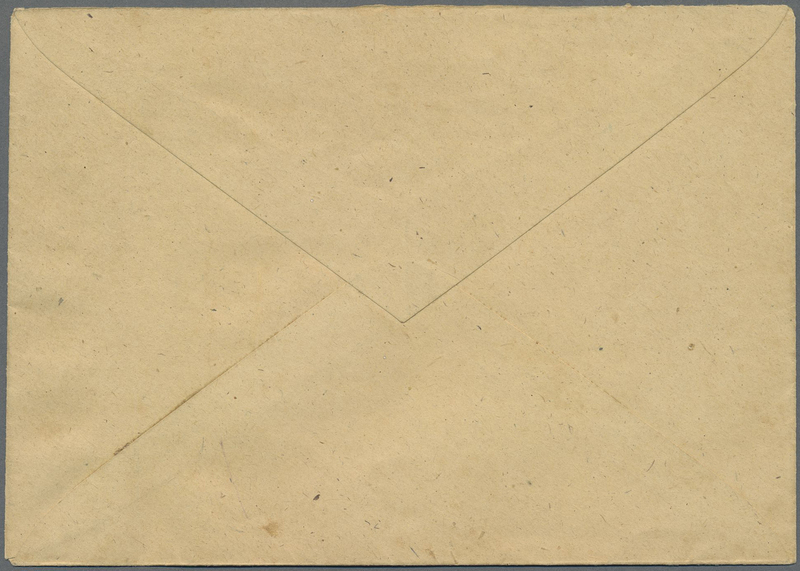 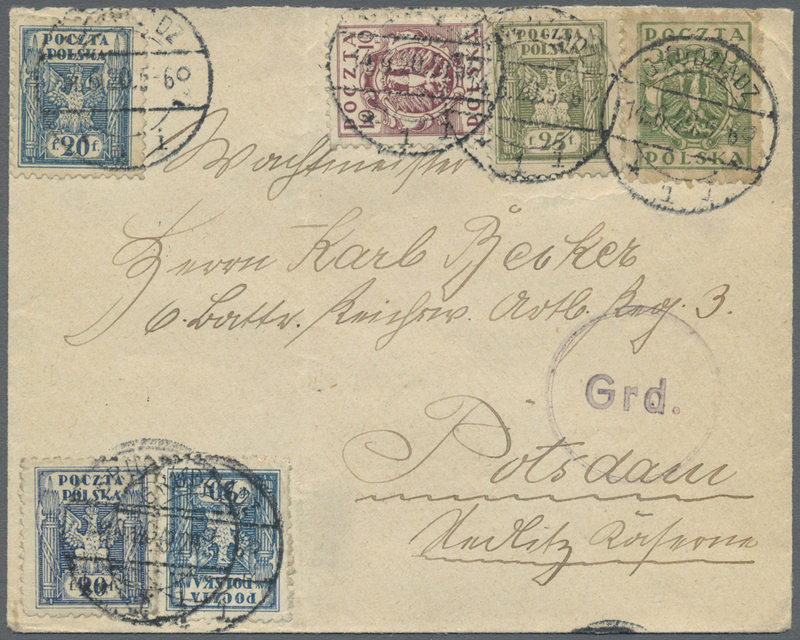 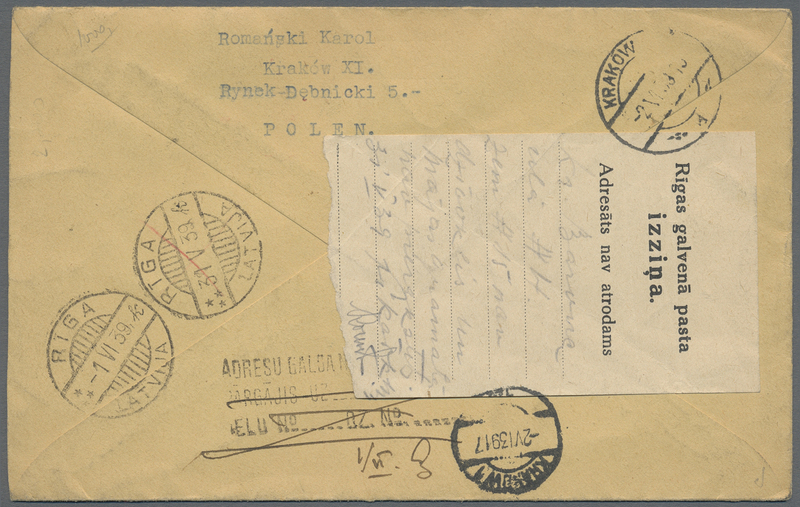 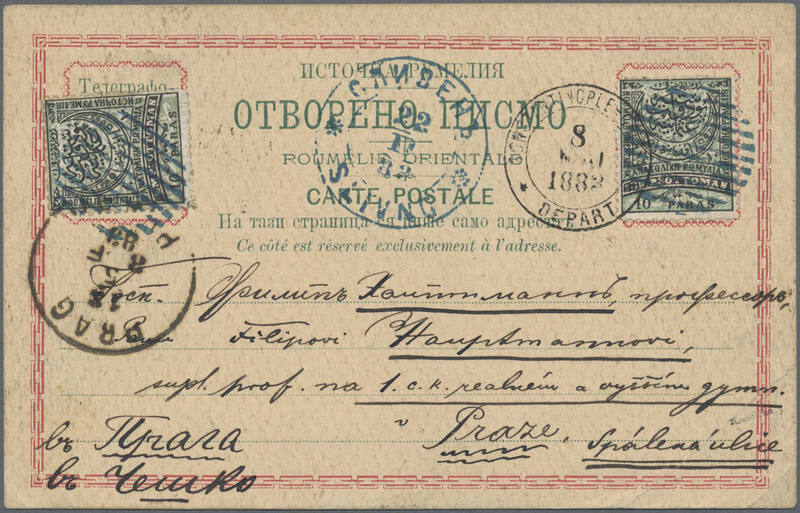 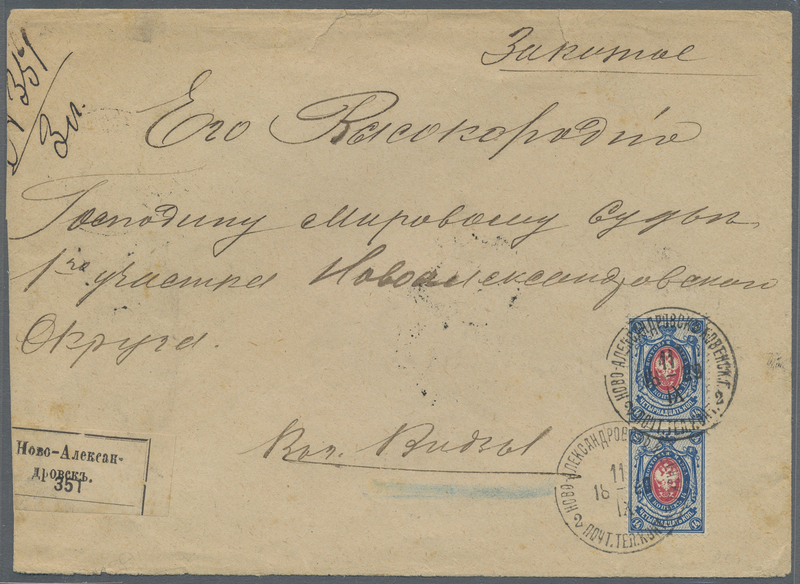 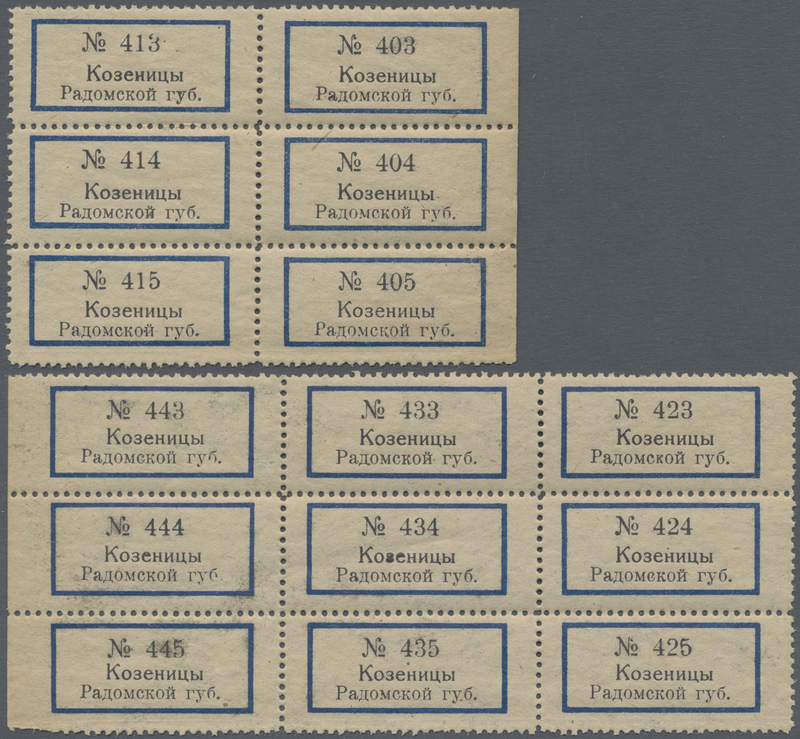 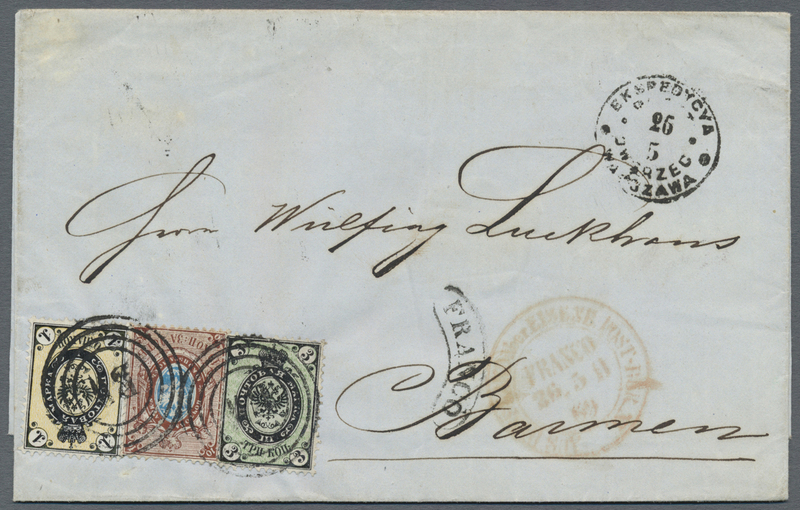 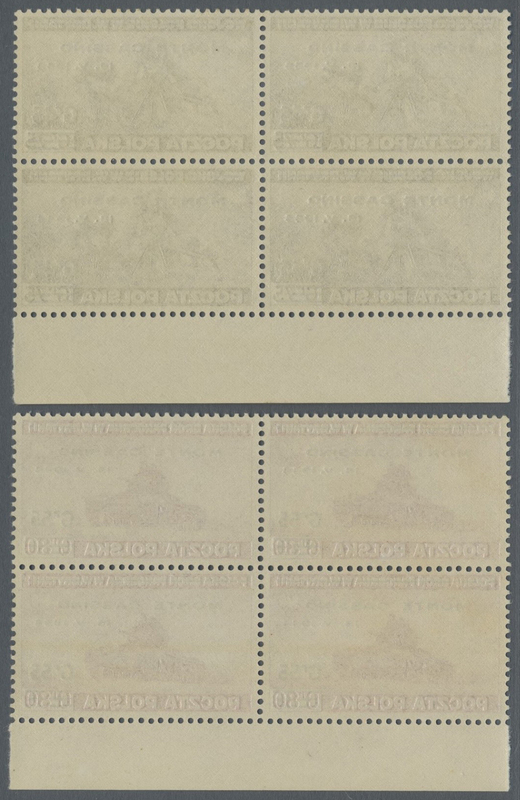 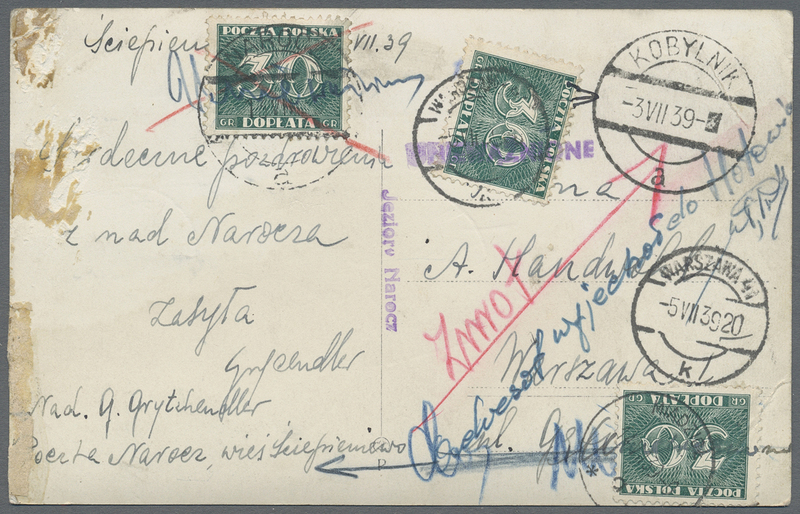 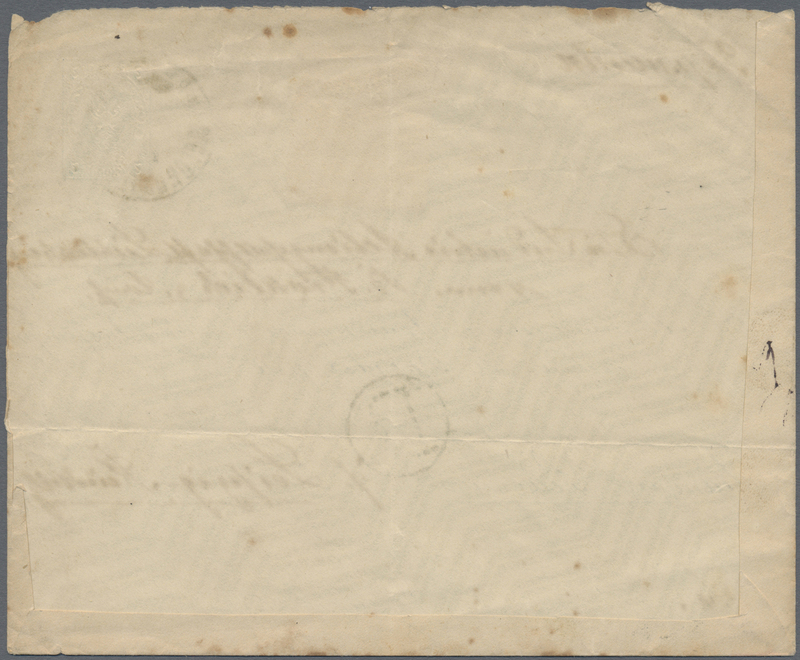 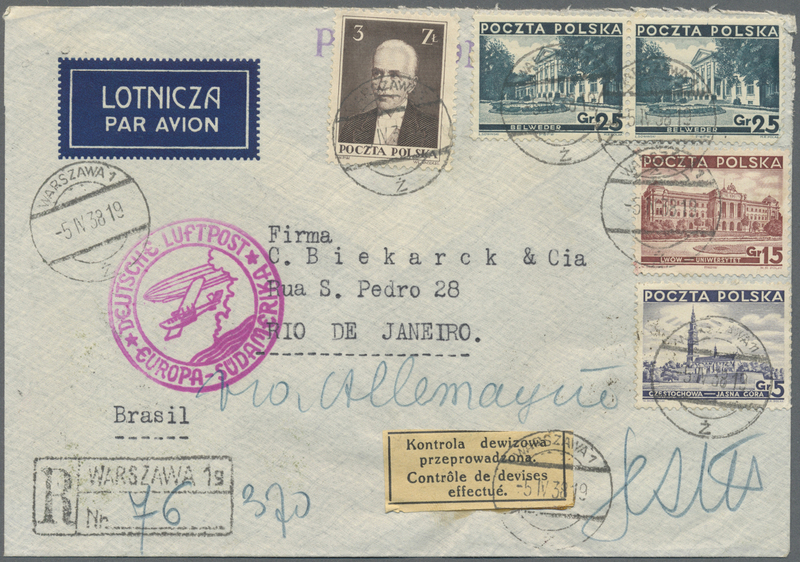 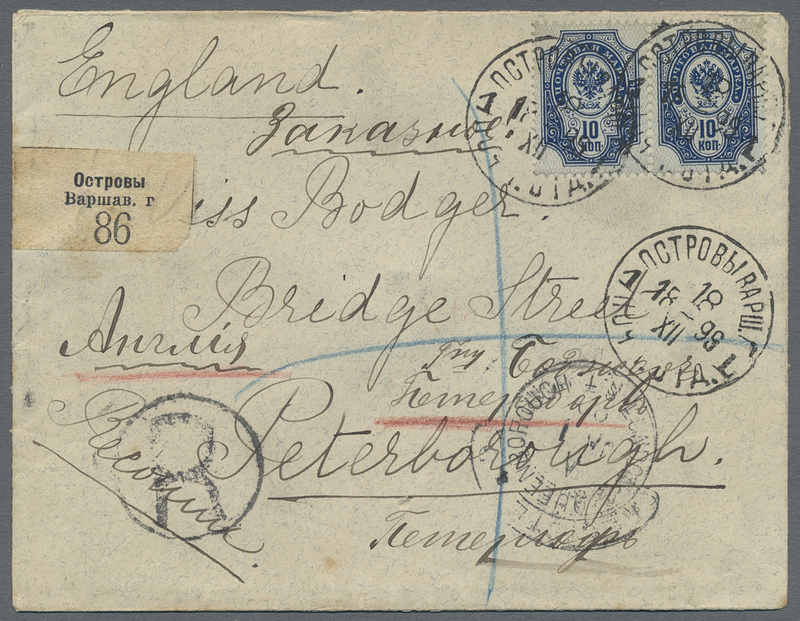 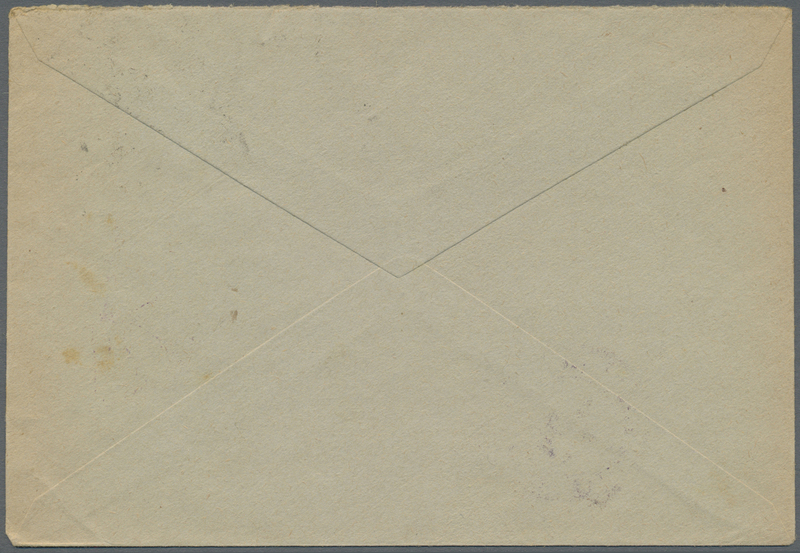 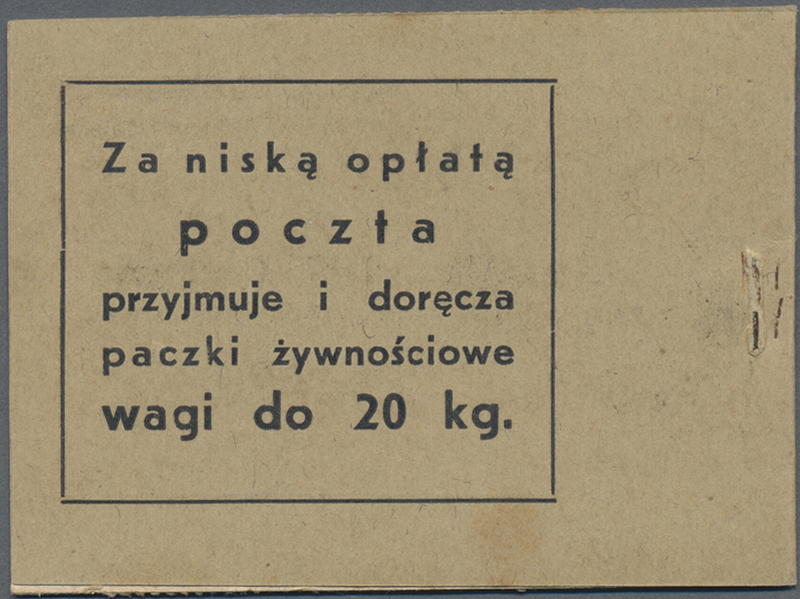 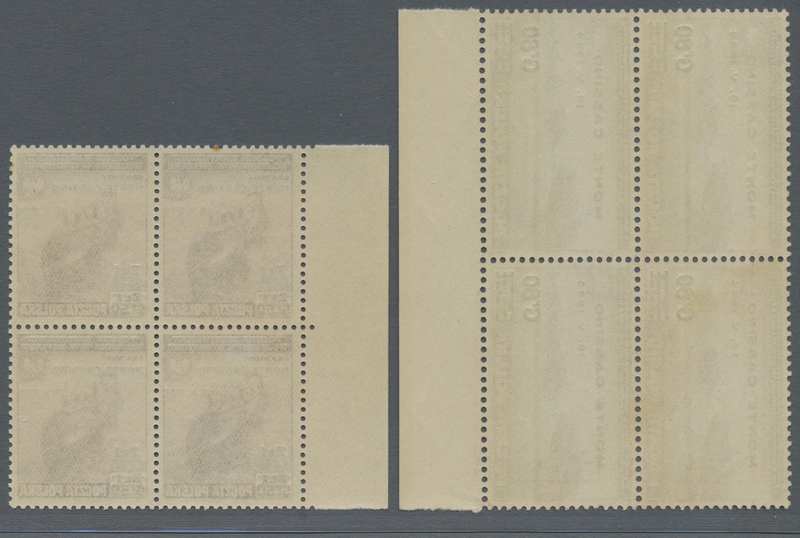 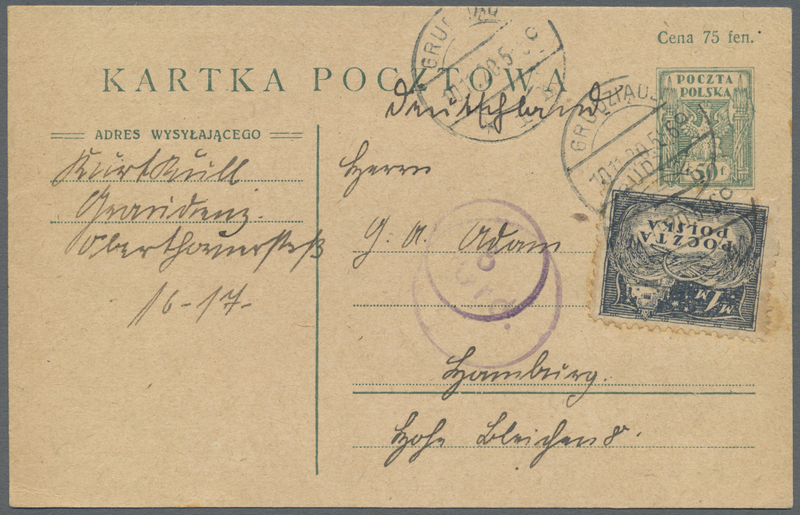 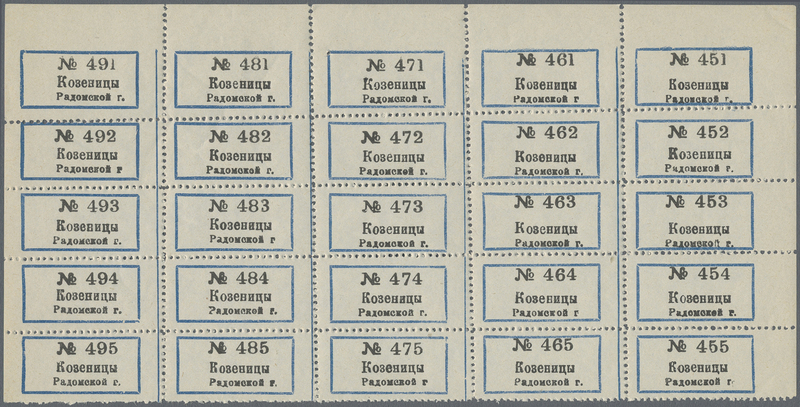 green and postmarked "WALSLEBEN 9.8.00" (KORYTOWO) and Berlin arrival 10.8.00. 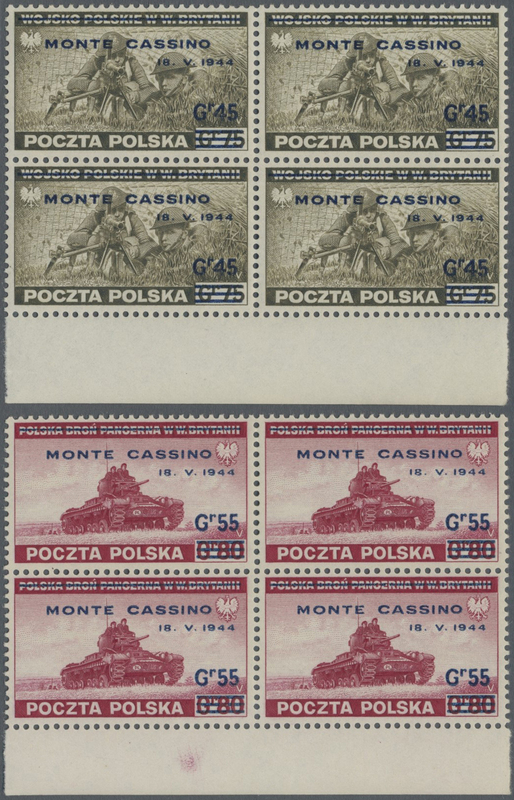 19507 MH 1938. 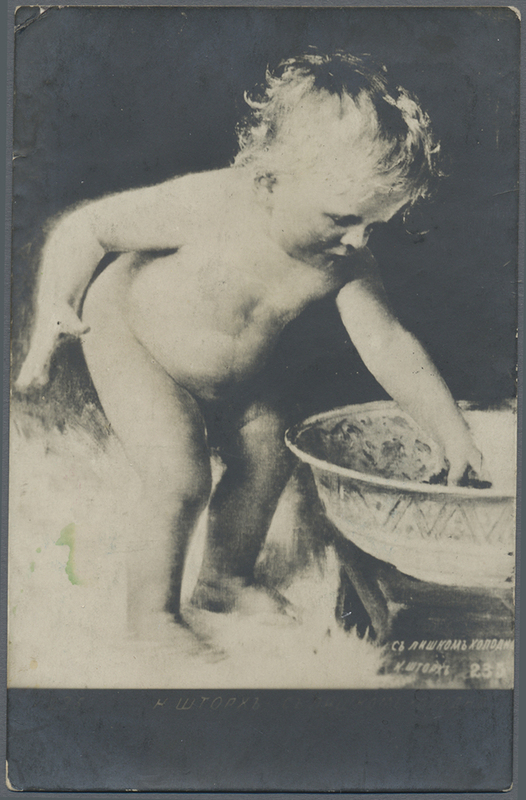 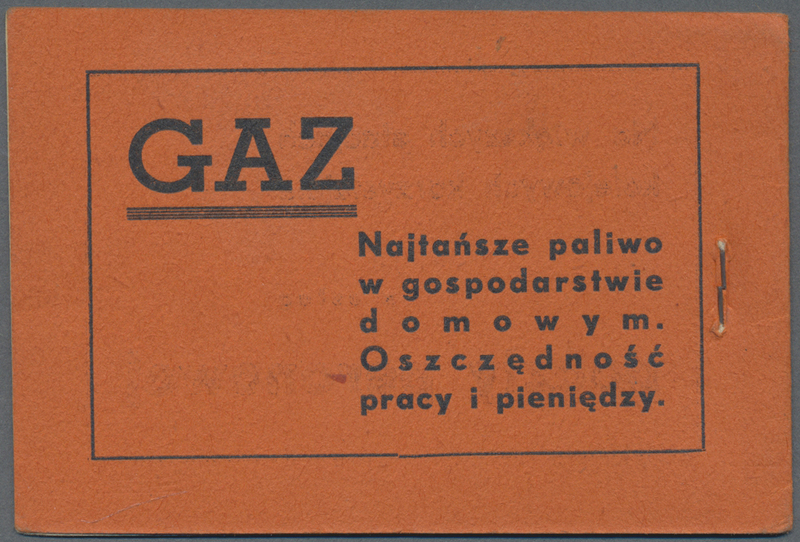 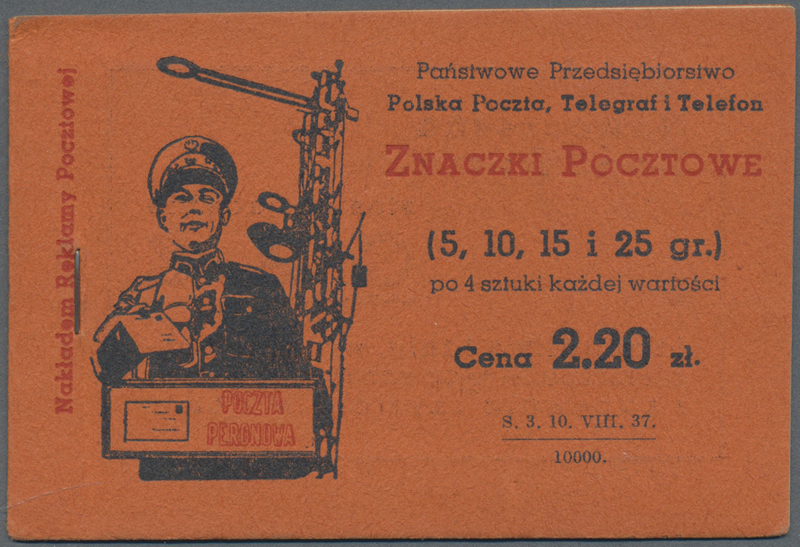 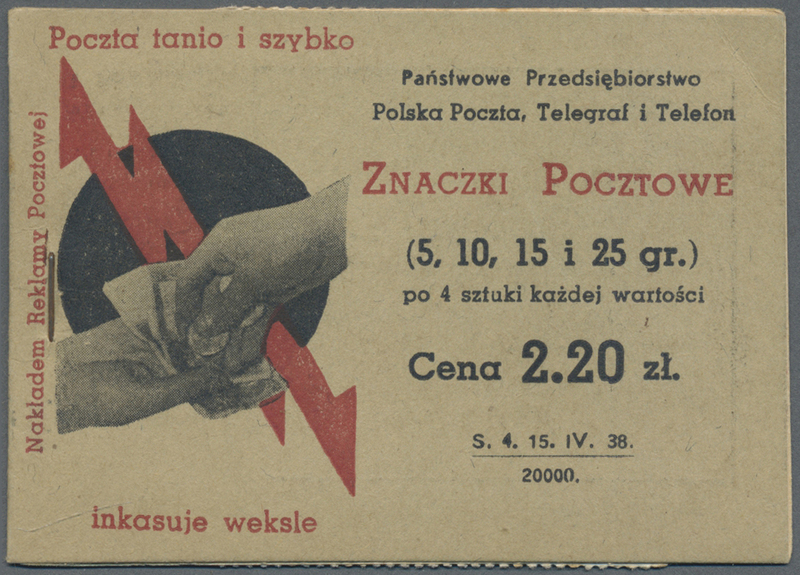 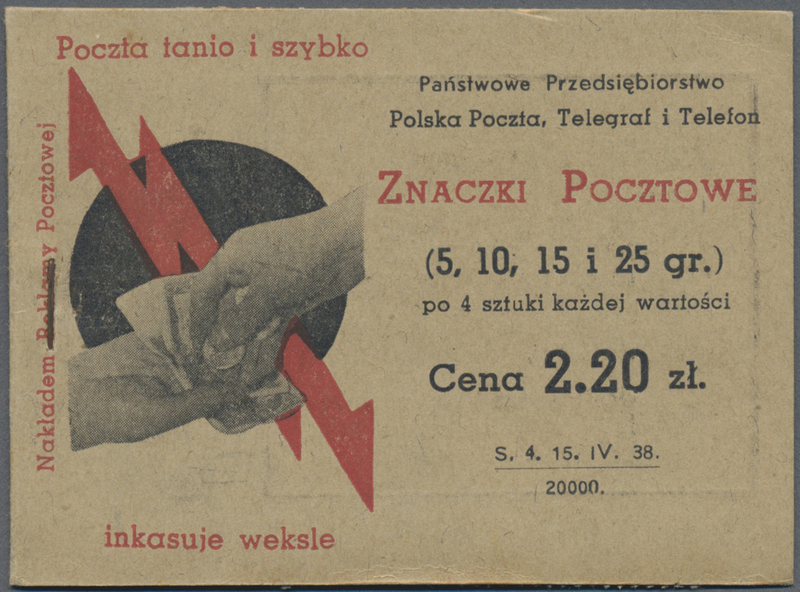 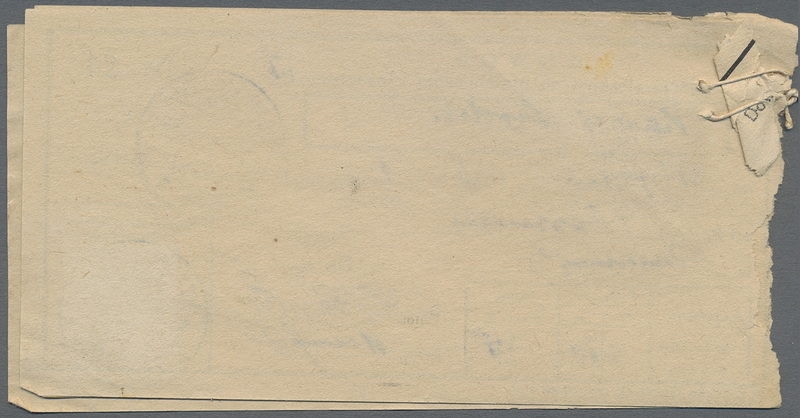 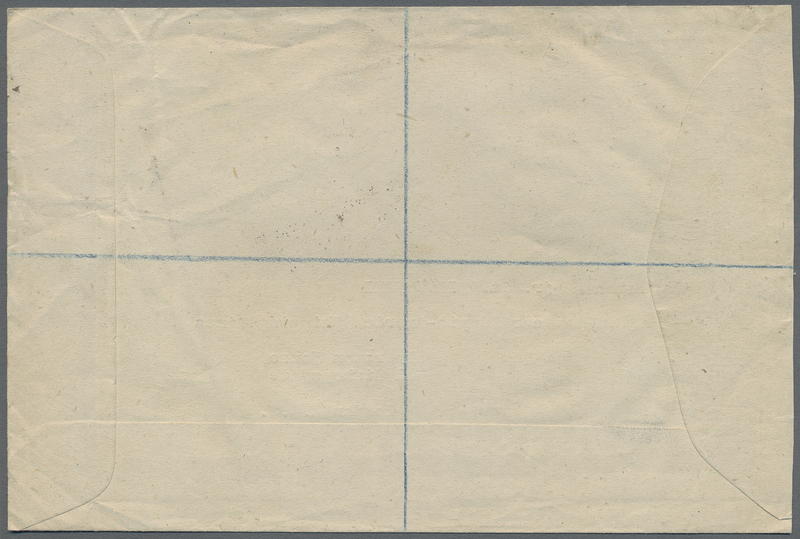 Booklet with money and hand. 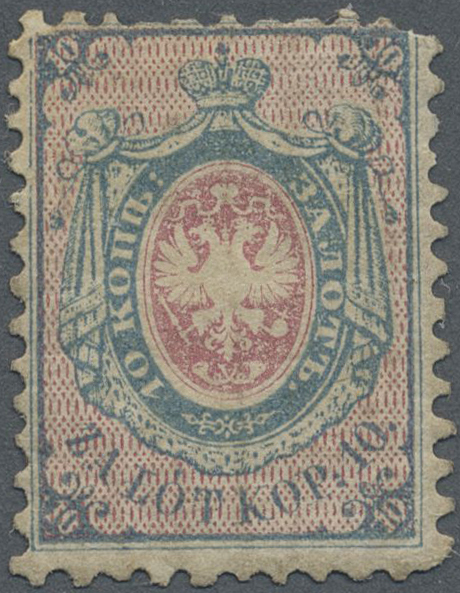 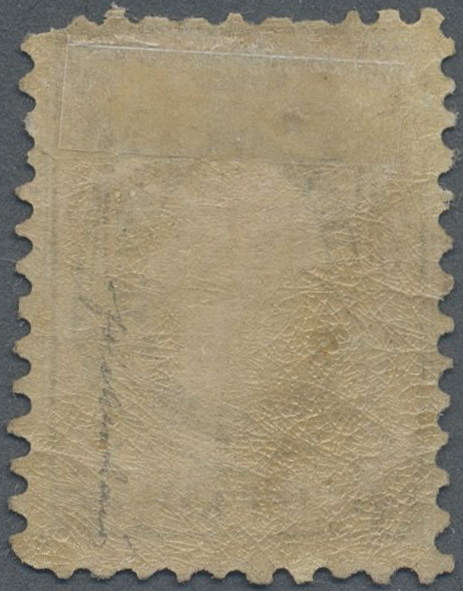 Stamps stuck.